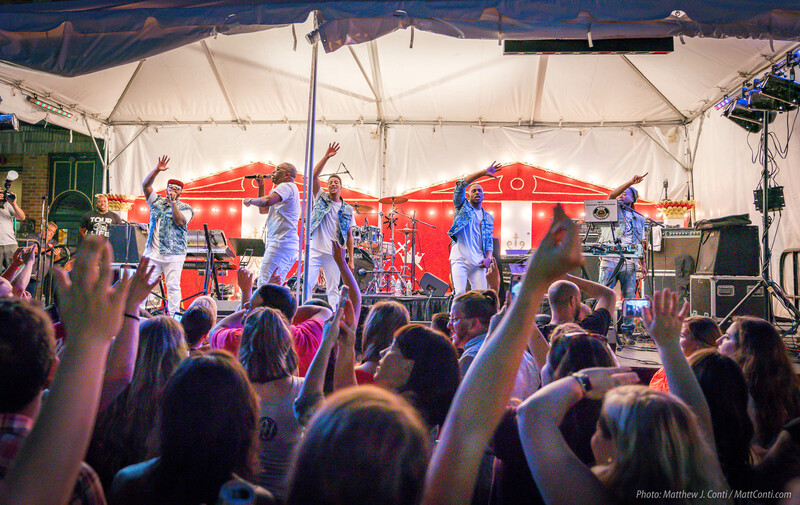 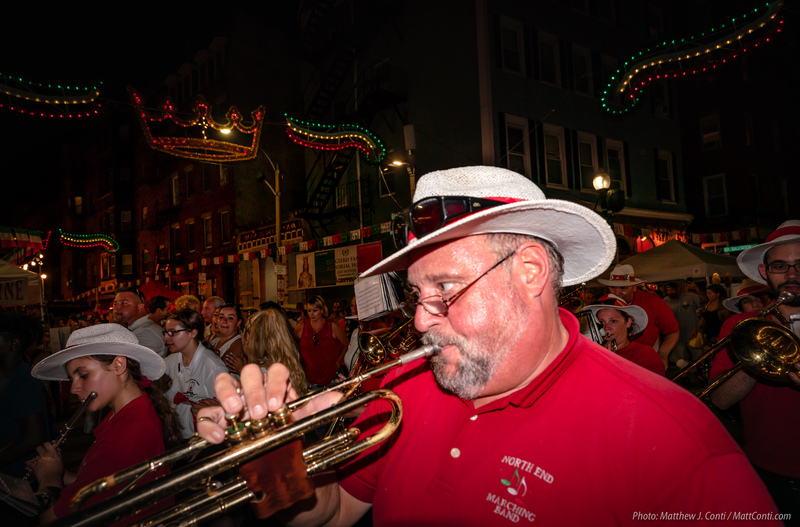 On Saturday night, the band 112 sang their famous “Peaches and Cream” hit, among others to a crowd on Hanover Street. 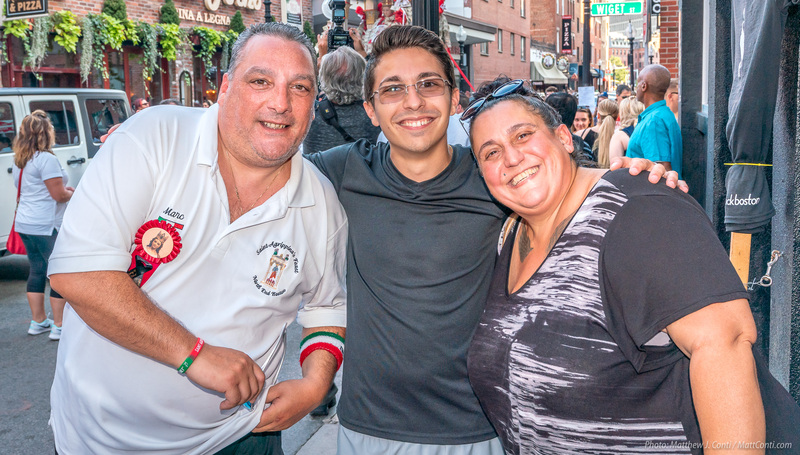 Also see photos from the Opening Night festivities. 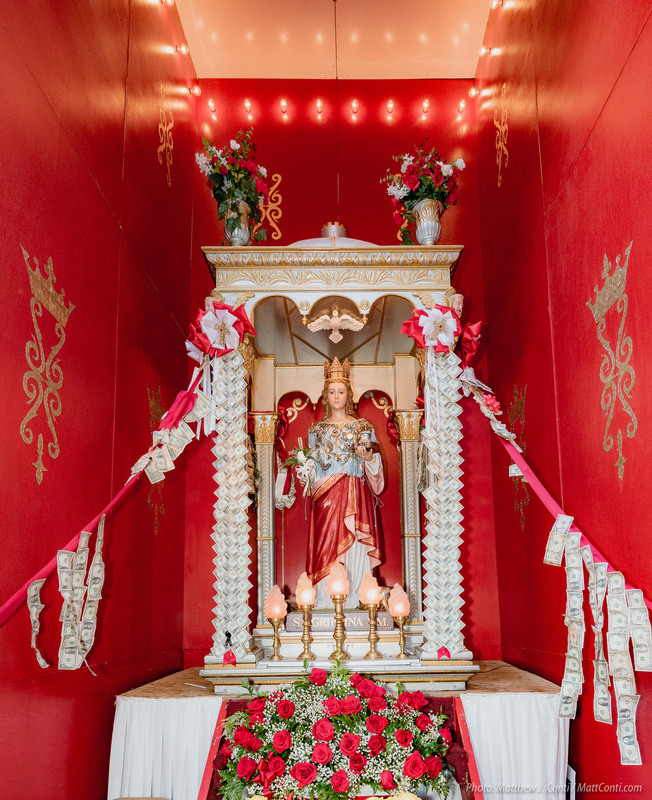 Saint Agrippina Di Mineo was a beautiful blond princess who was unmercifully tortured to death by the Emperor Valerian in 256 AD. 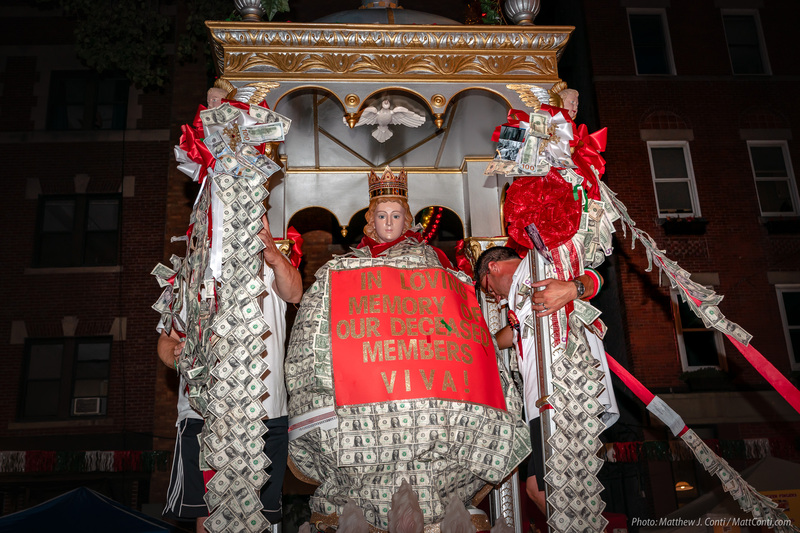 After her death, her body was taken from Rome to Mineo, Sicily, by three holy women; Bassa, Paula and Agatonica. 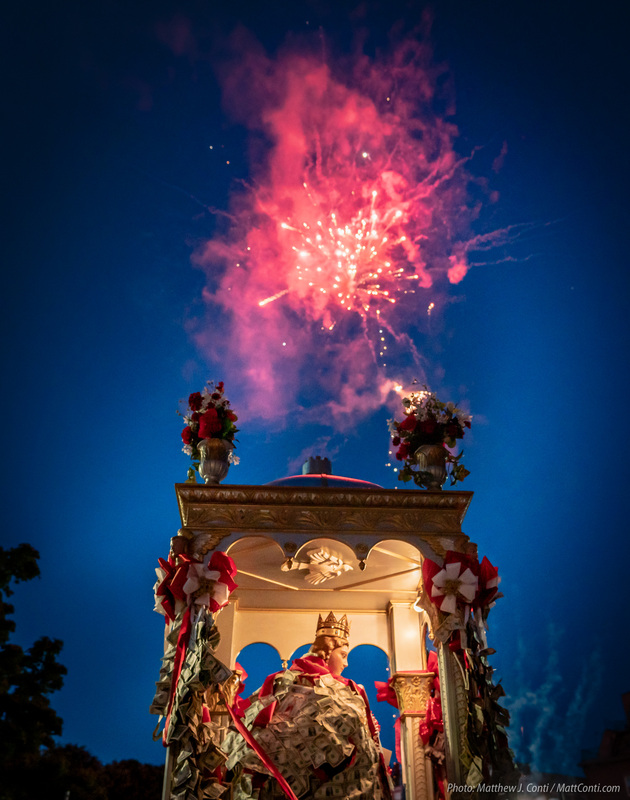 The commoners were amazed by the lightweight fragranced body protected by angels and shielded by clouds. 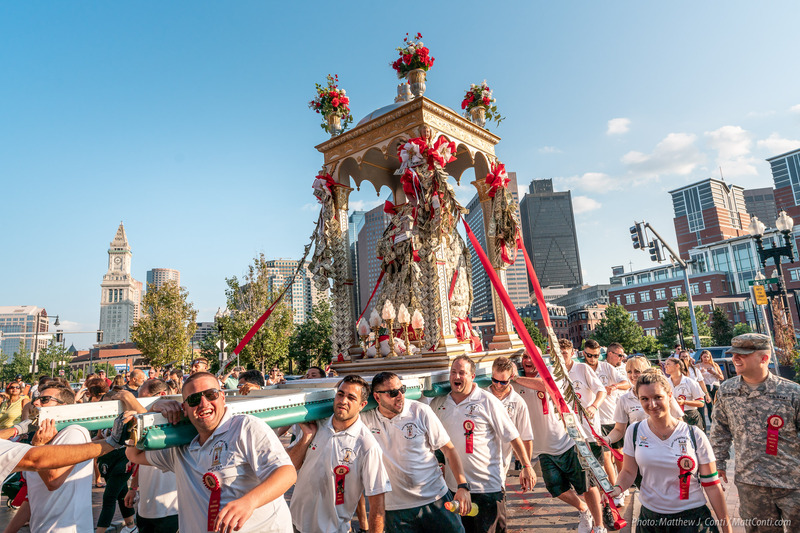 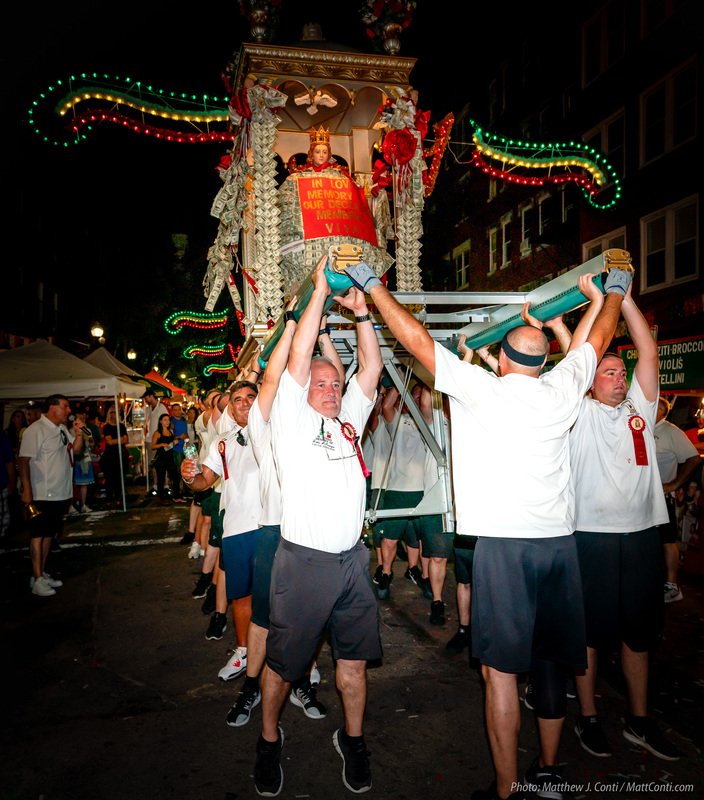 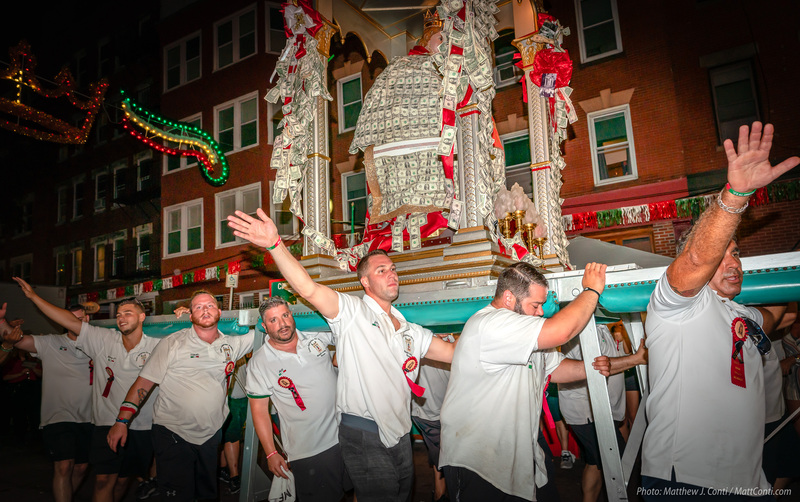 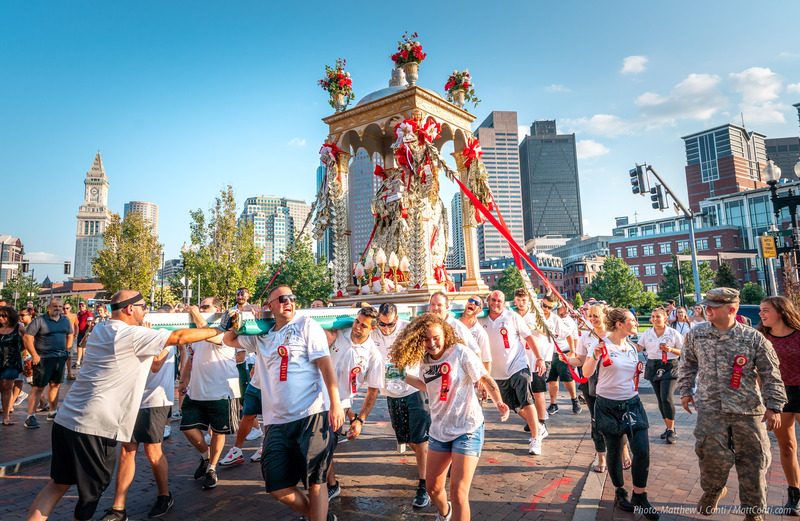 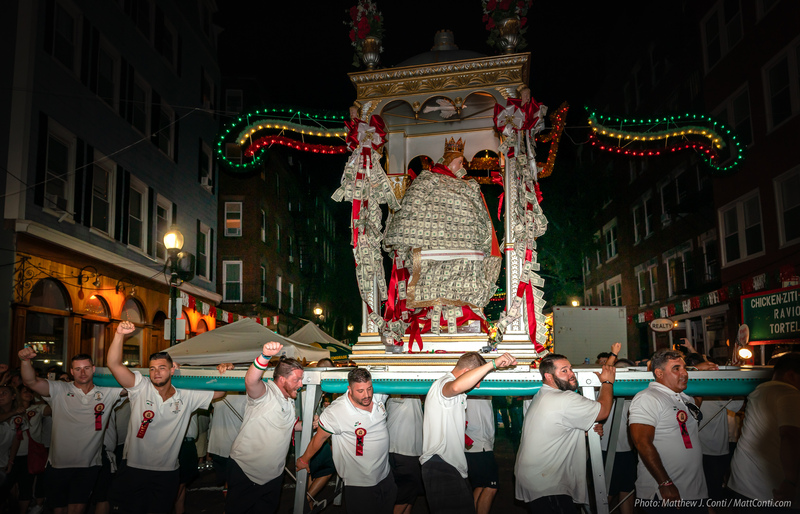 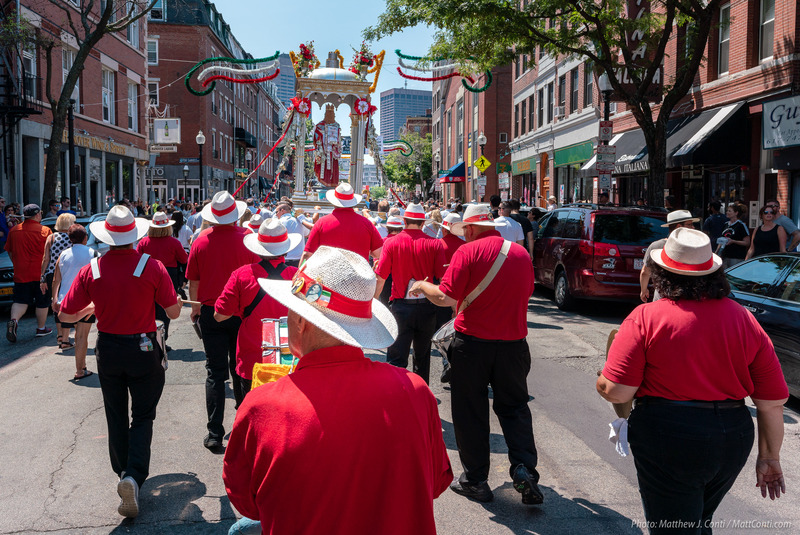 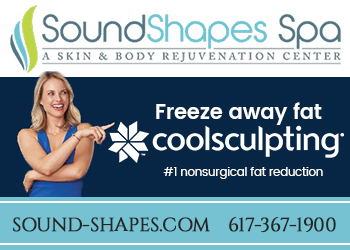 In the North End, it’s 20 men that coordinate in a complex rhythm to keep the extremely heavy statue in the air. 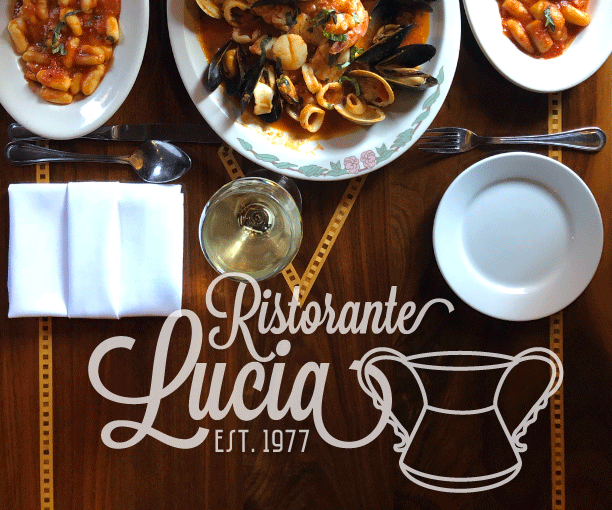 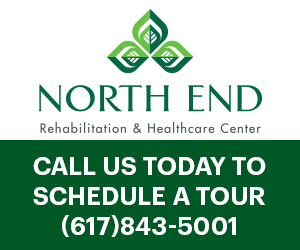 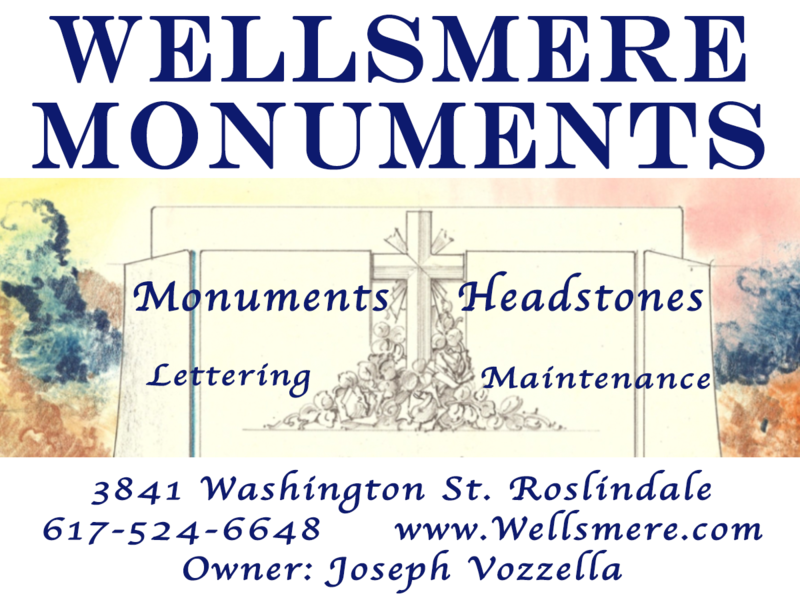 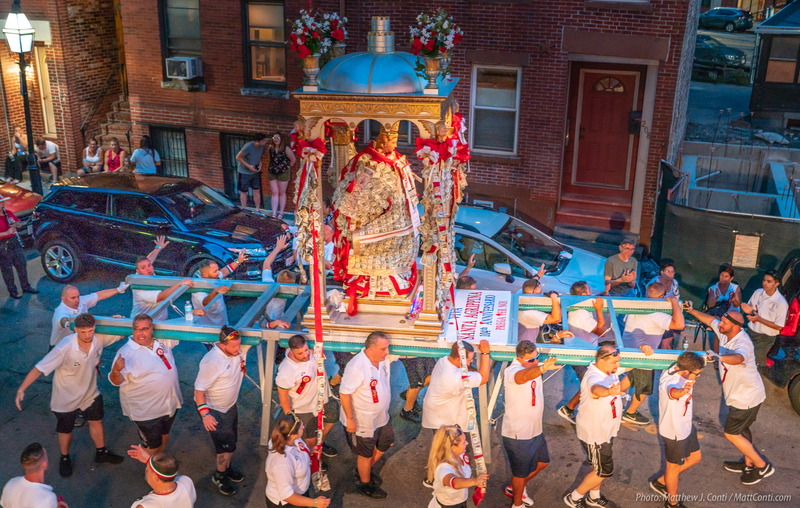 Read more about the benefit society, feast and the history of Saint Agrippina Di Mineo at www.saintagrippinaboston.com. 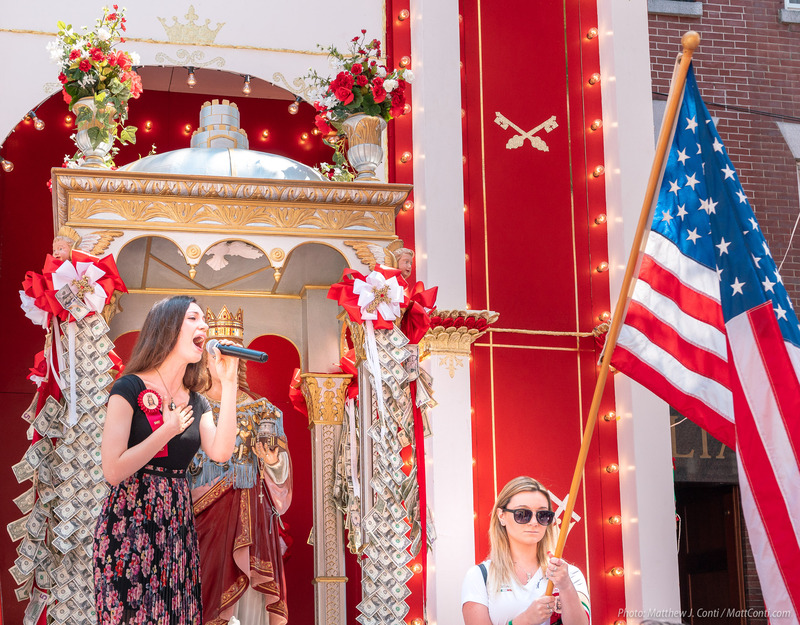 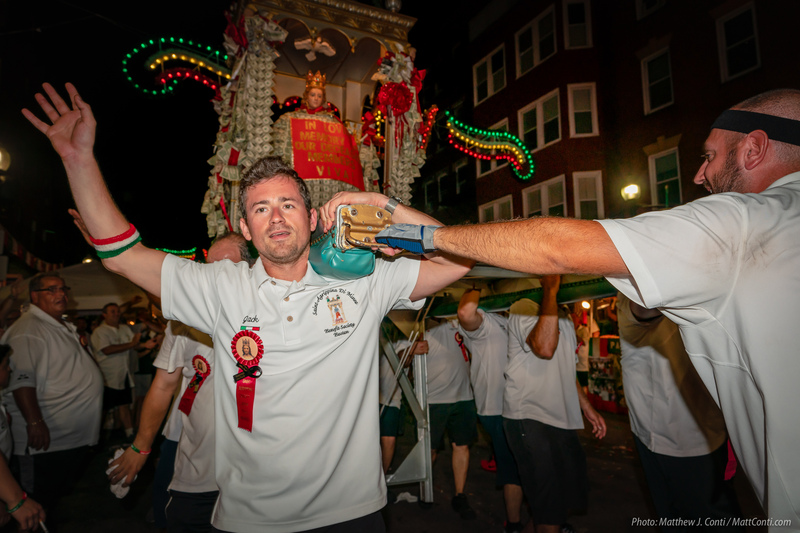 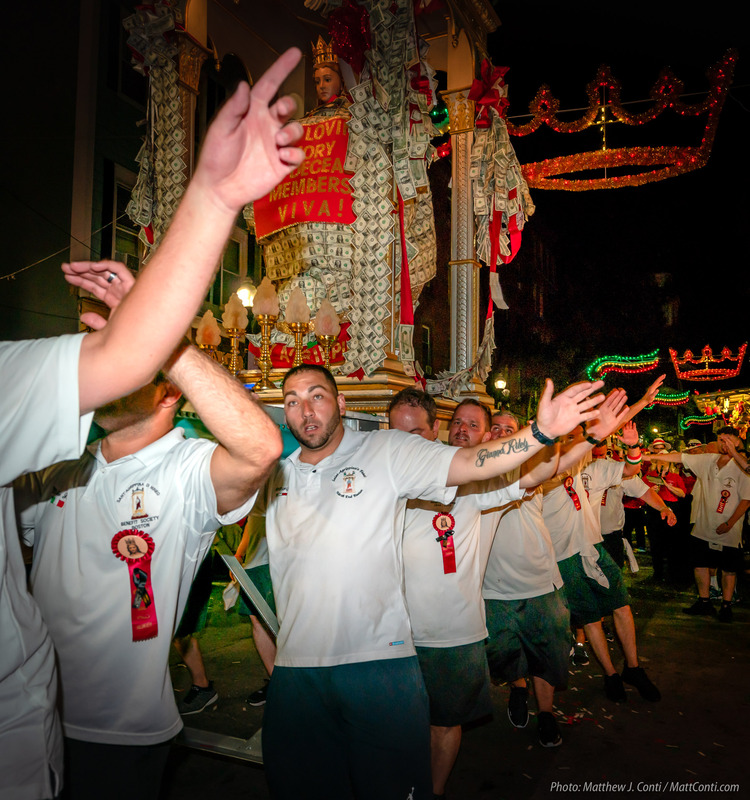 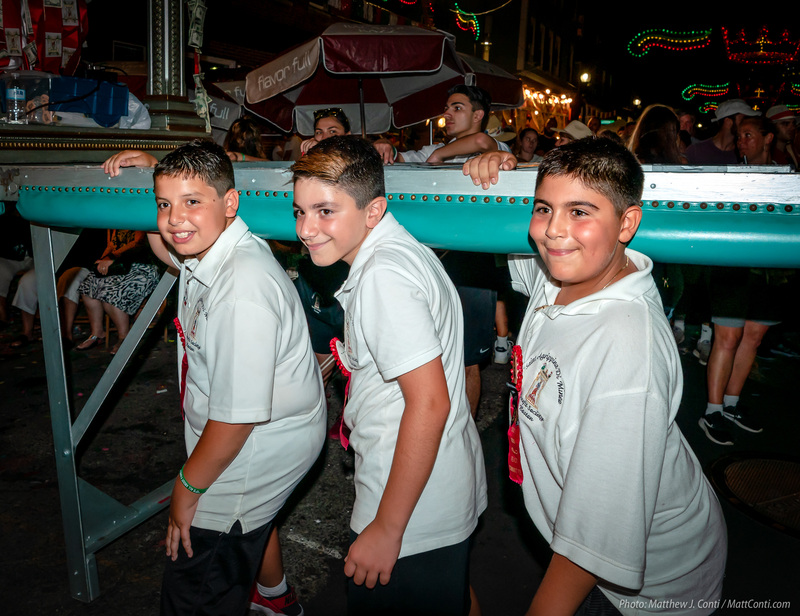 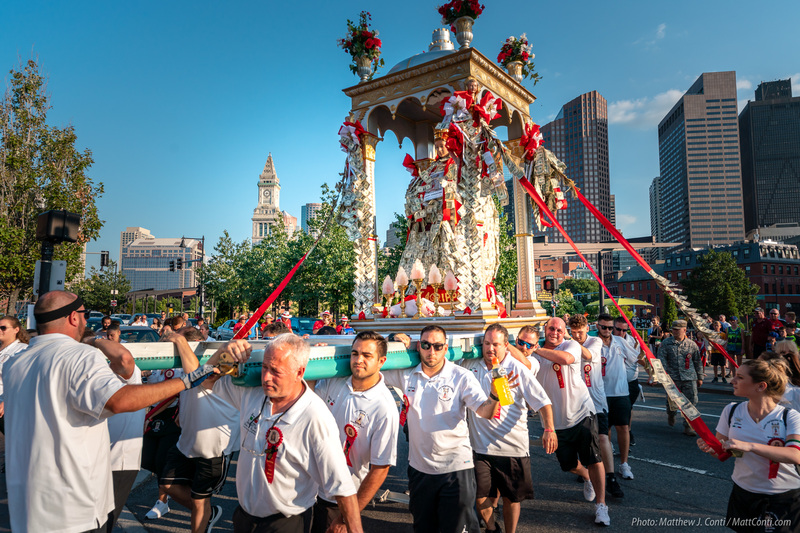 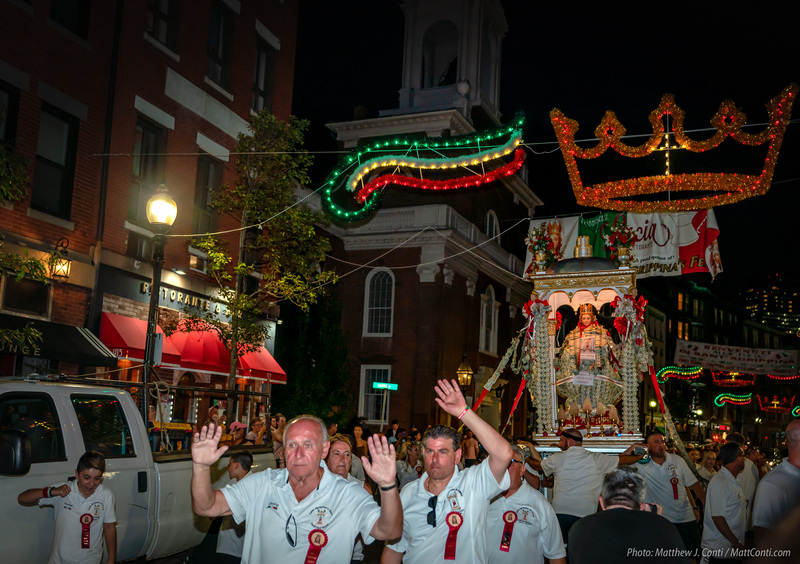 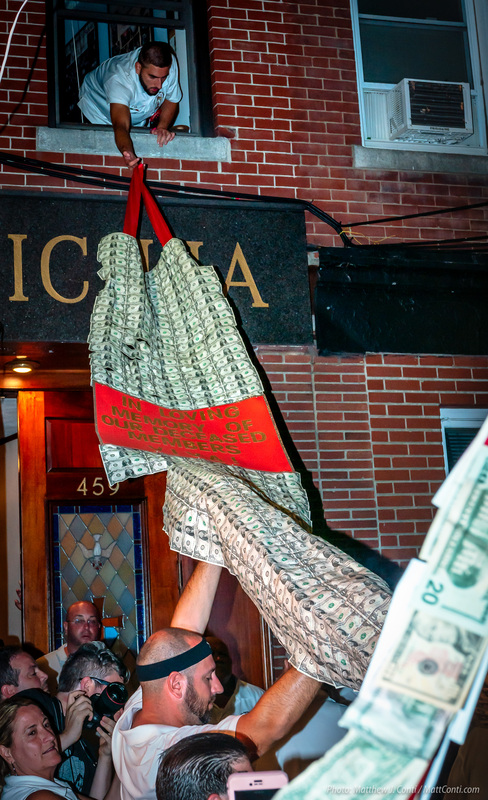 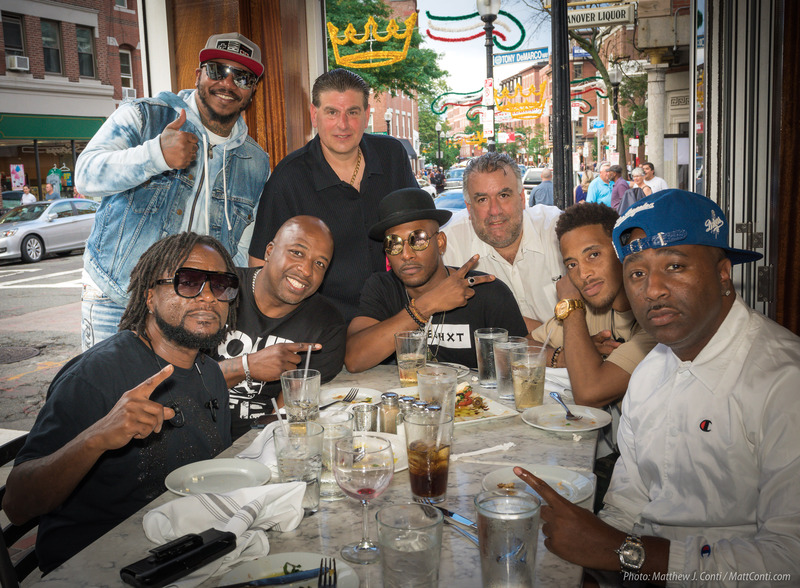 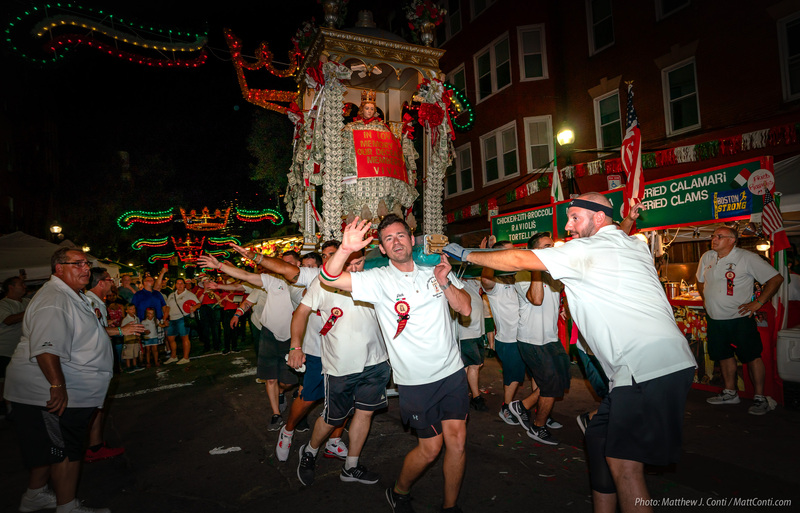 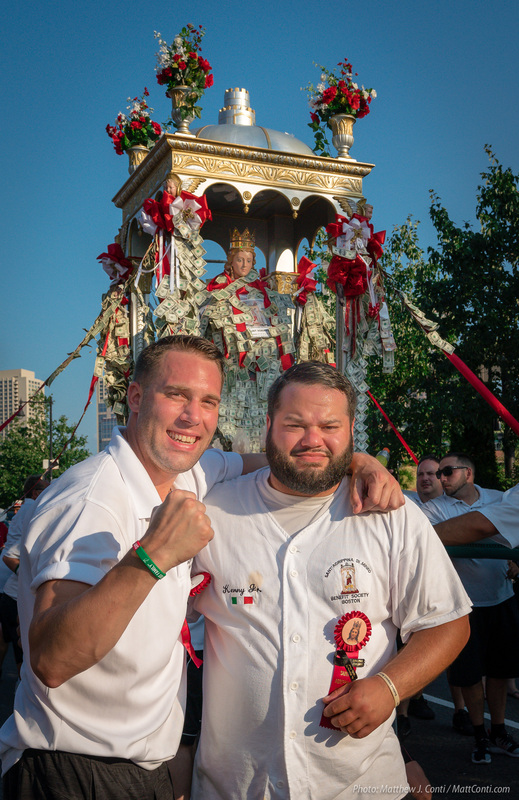 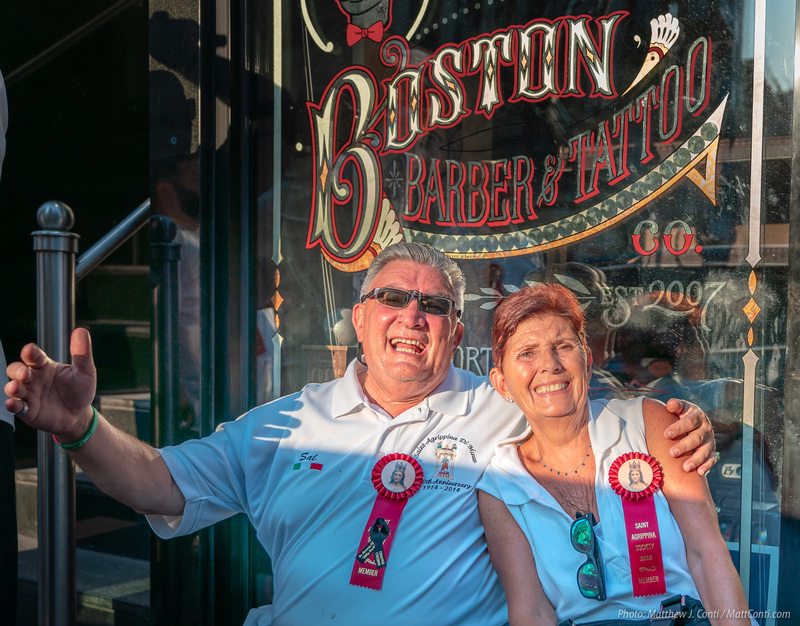 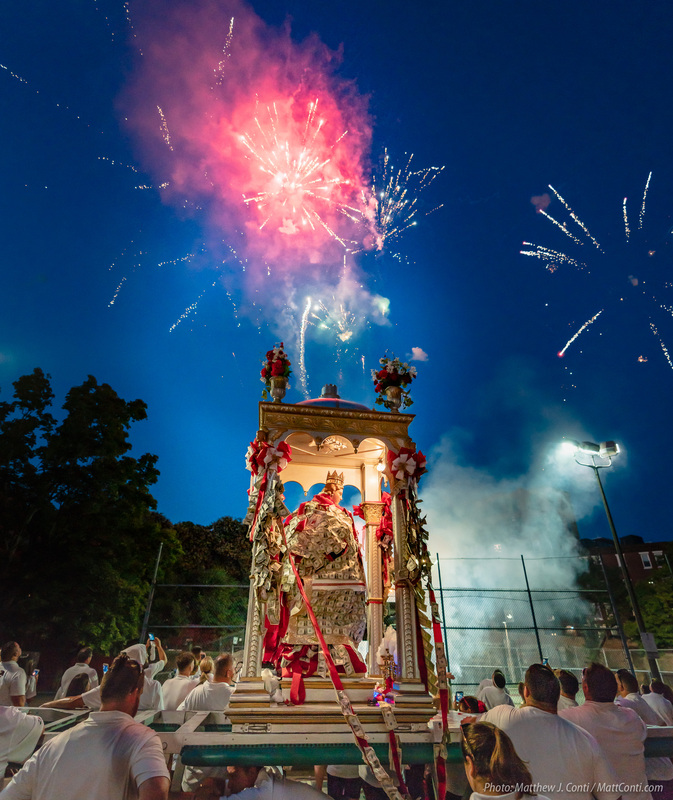 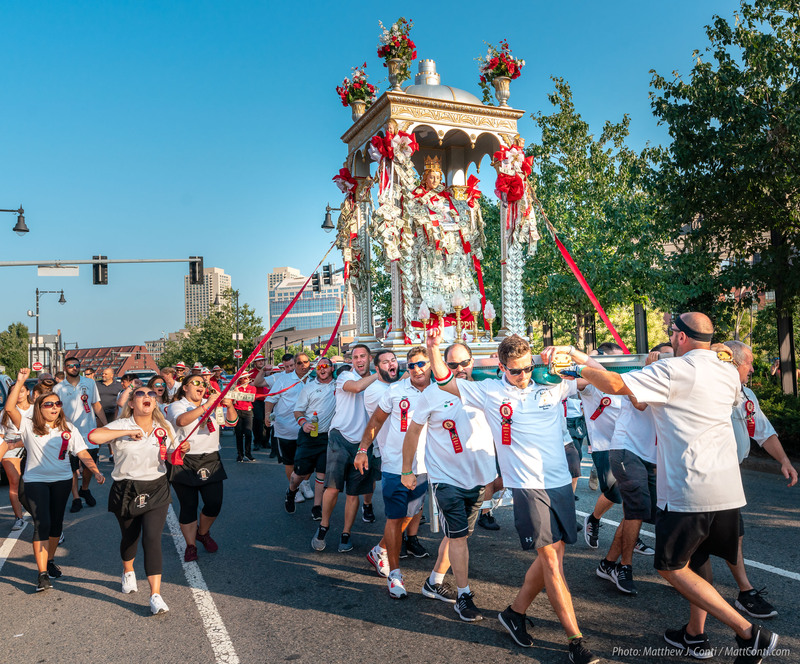 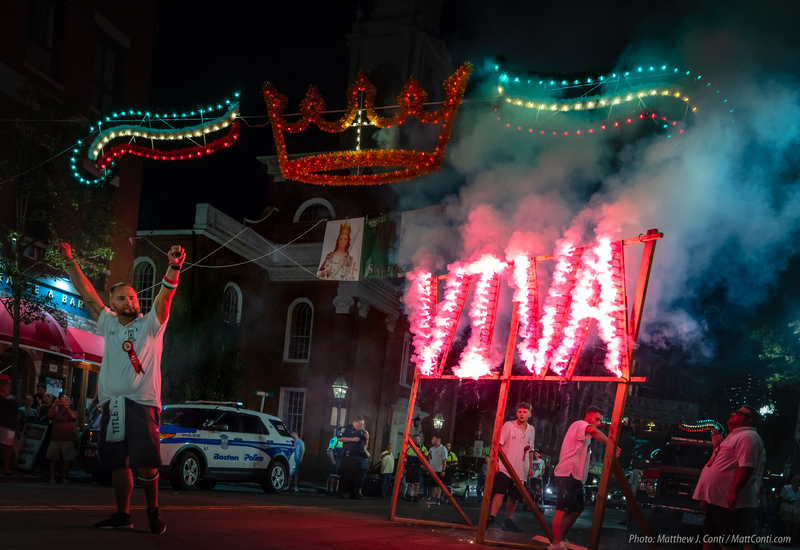 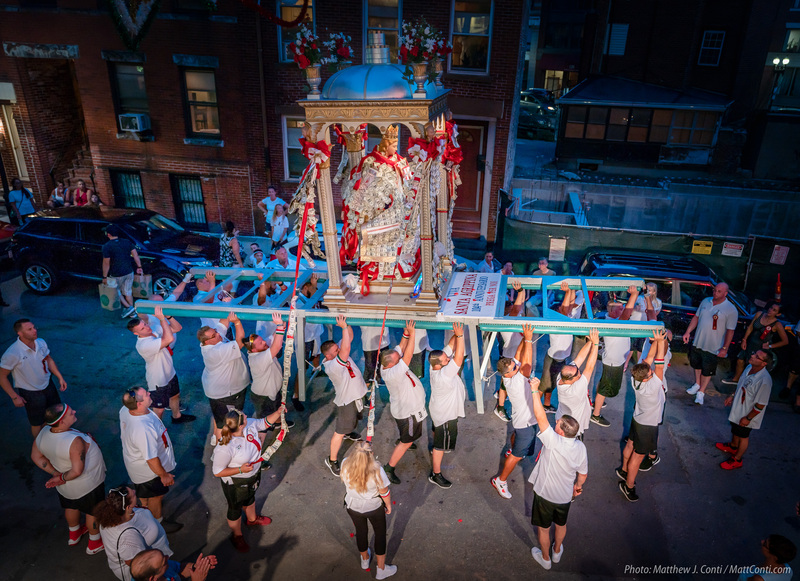 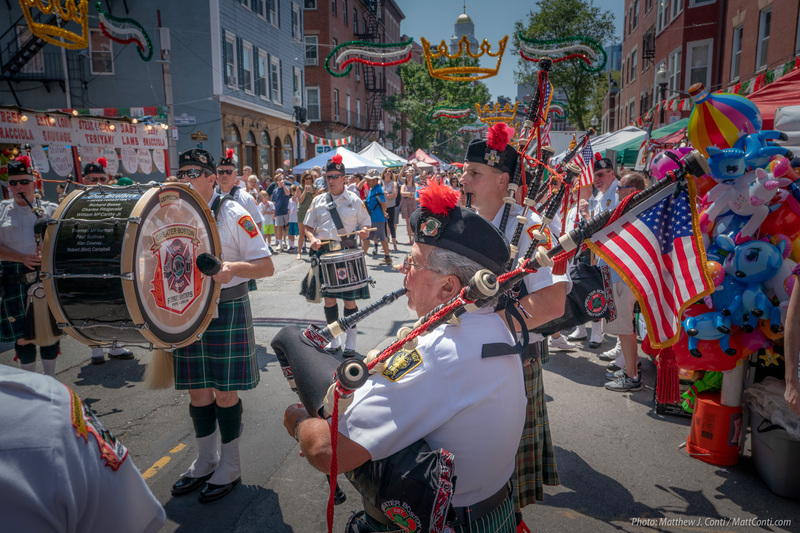 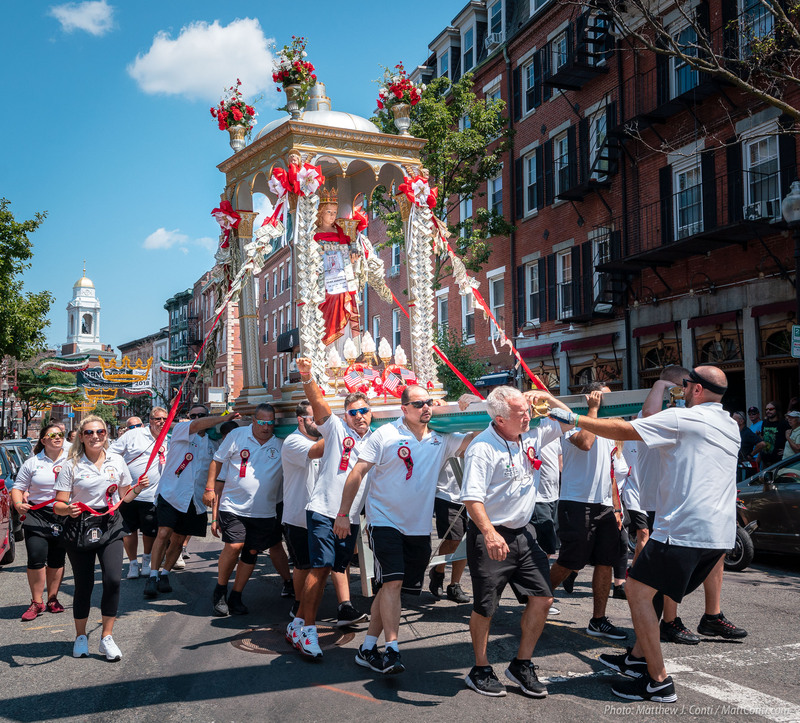 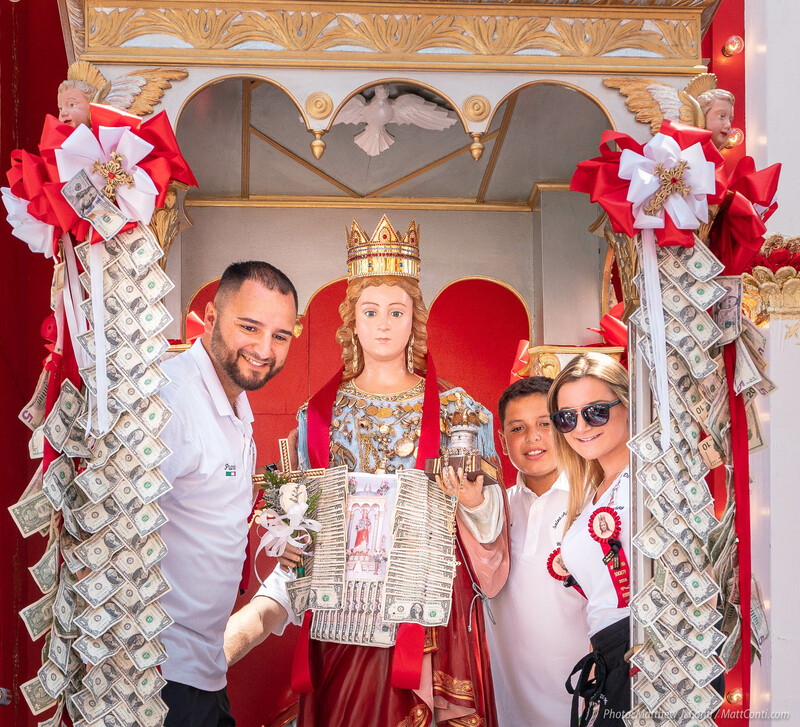 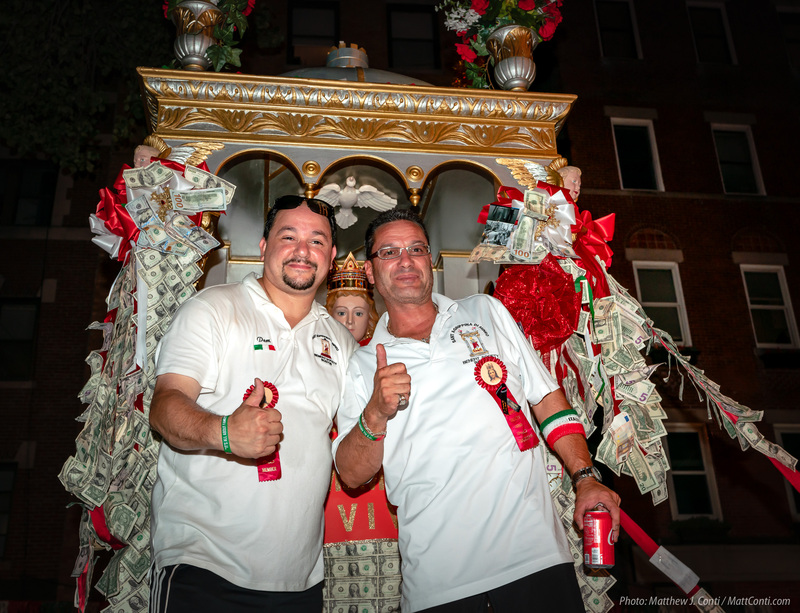 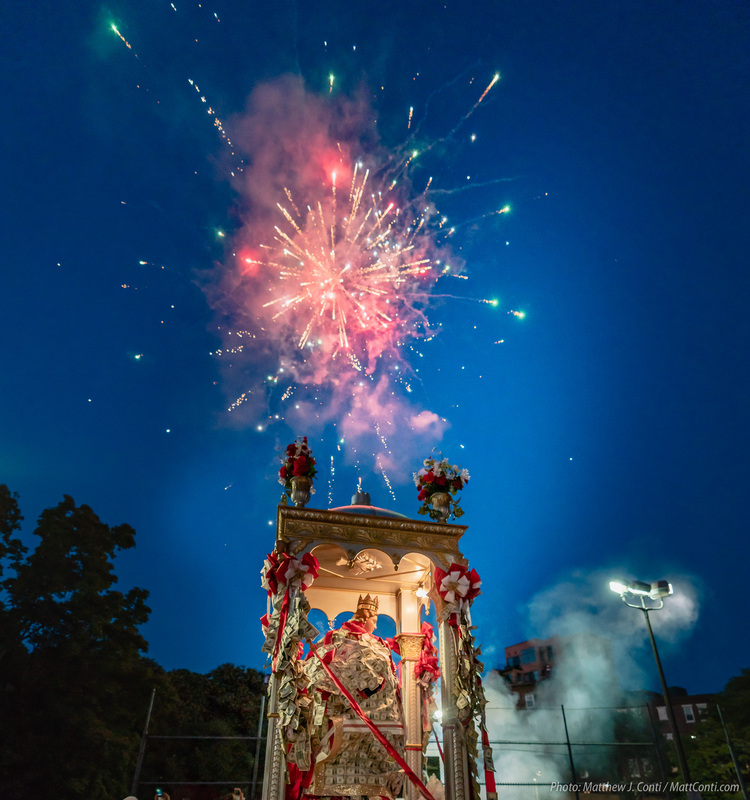 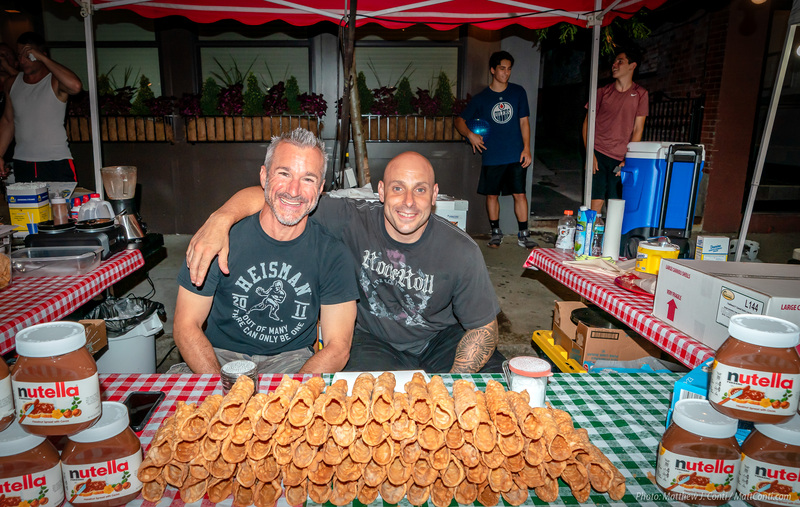 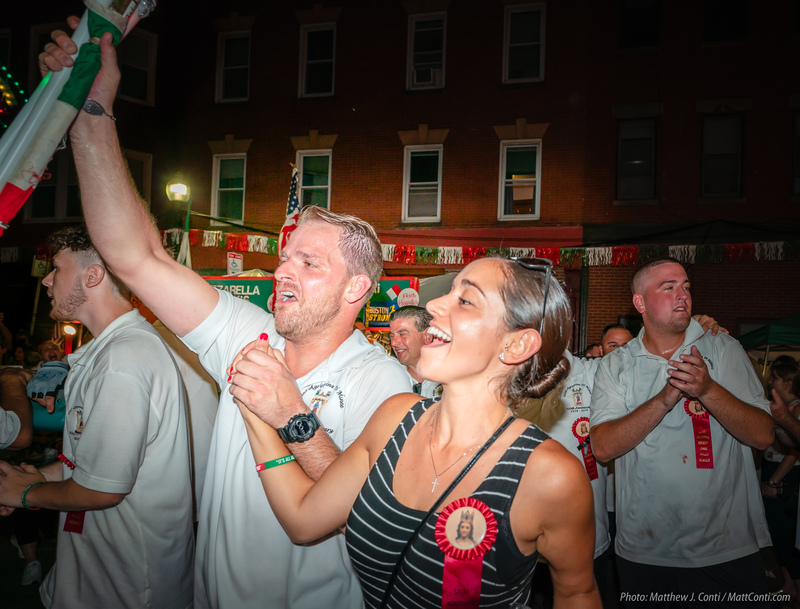 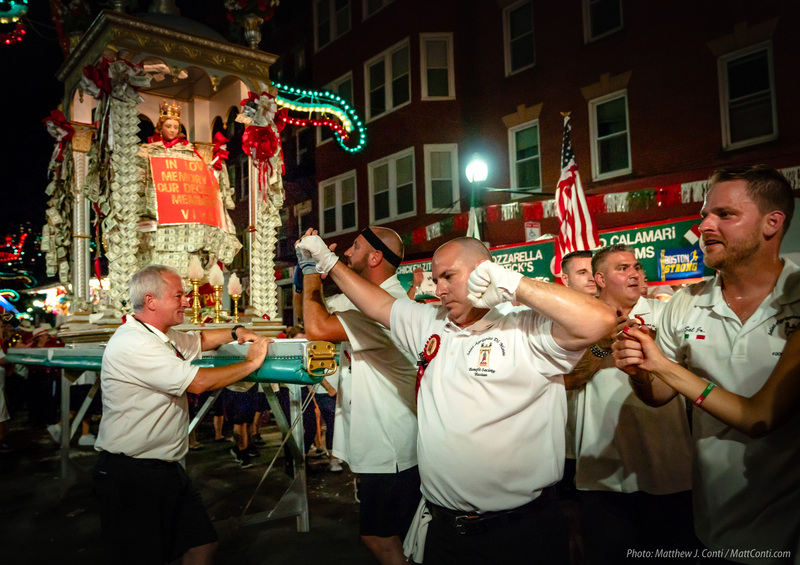 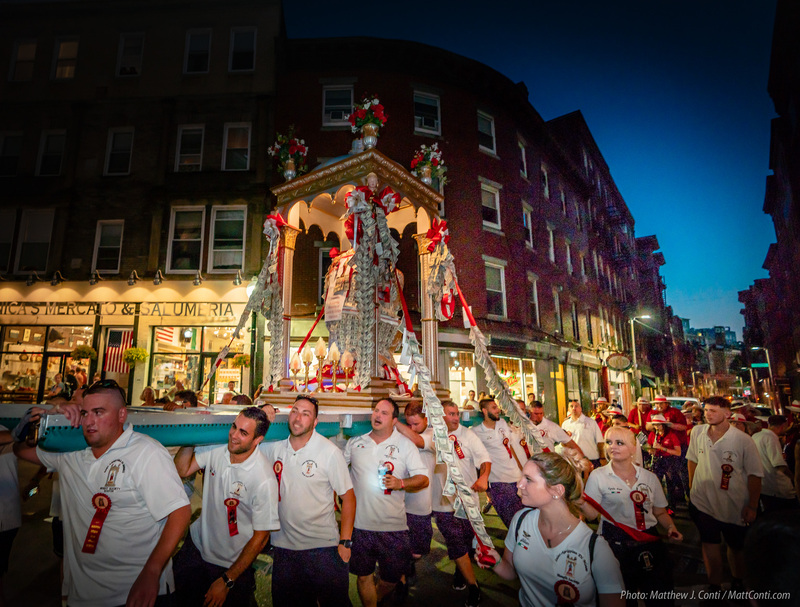 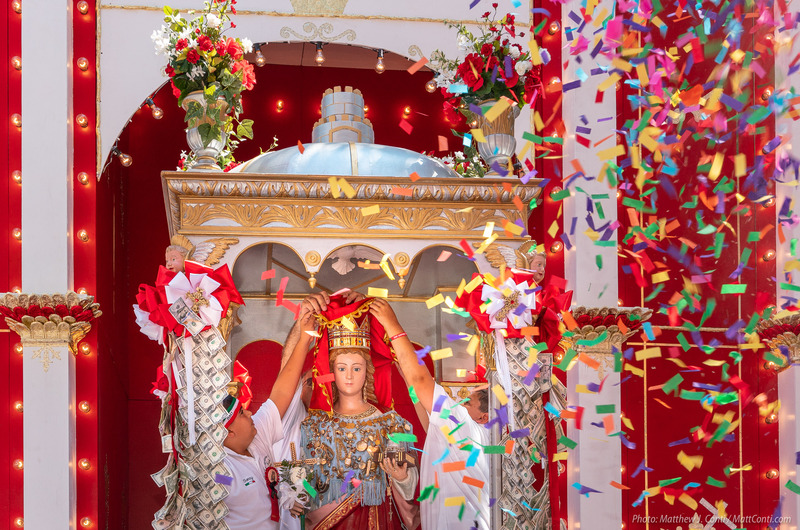 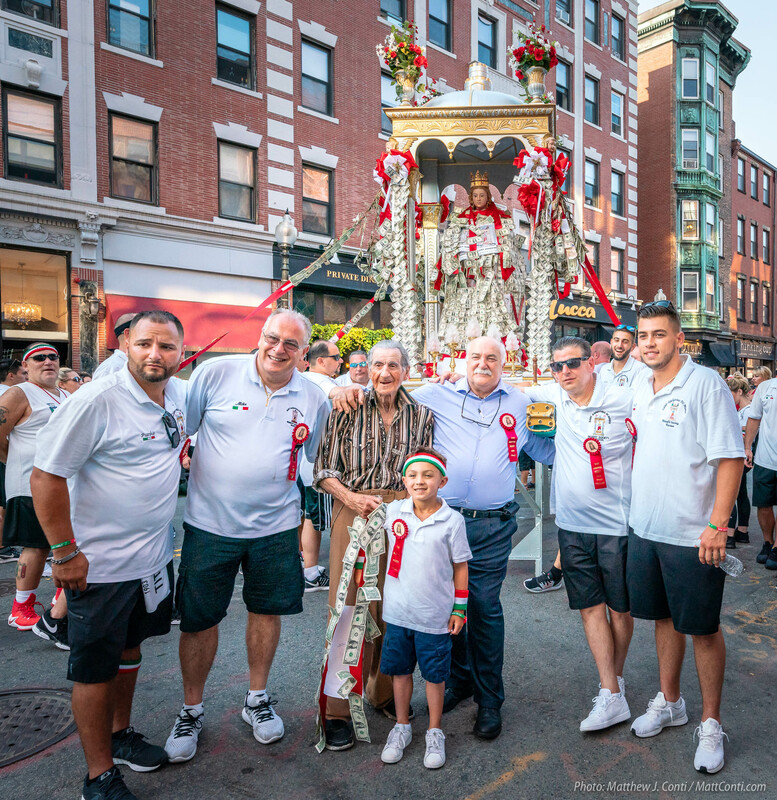 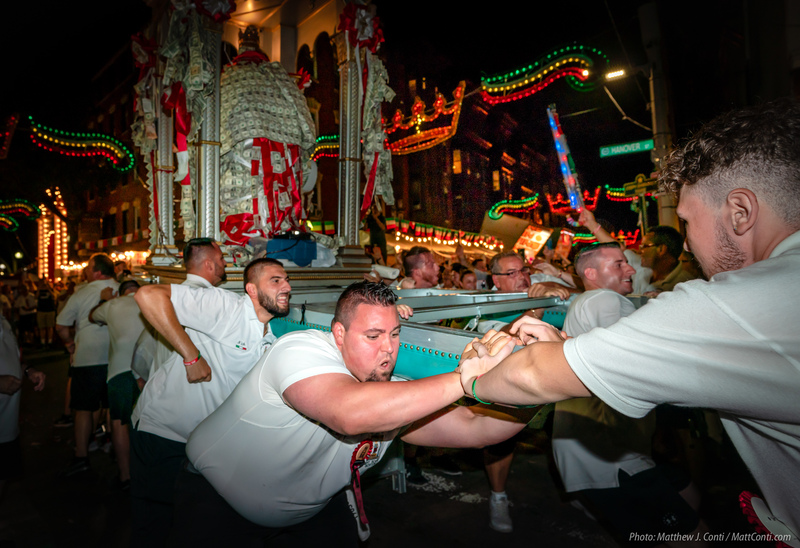 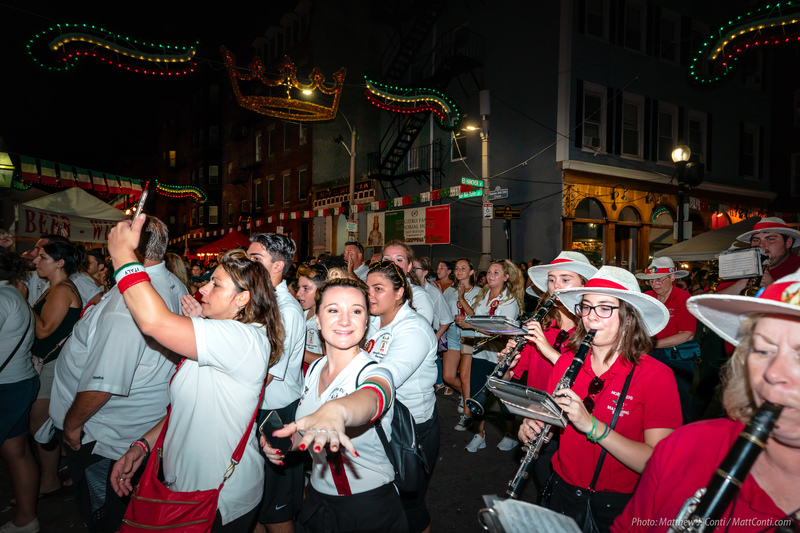 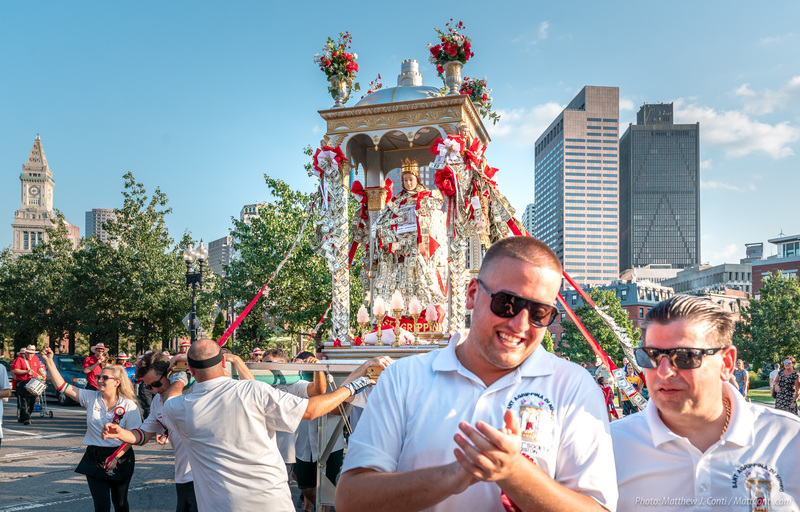 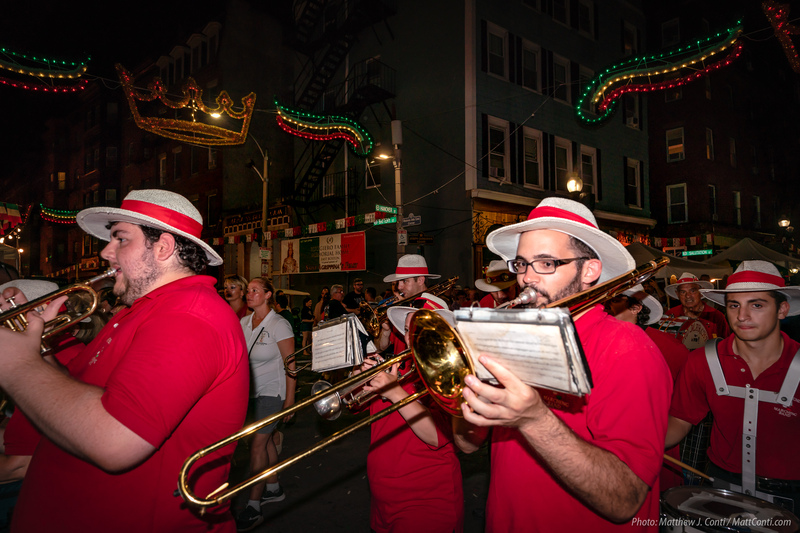 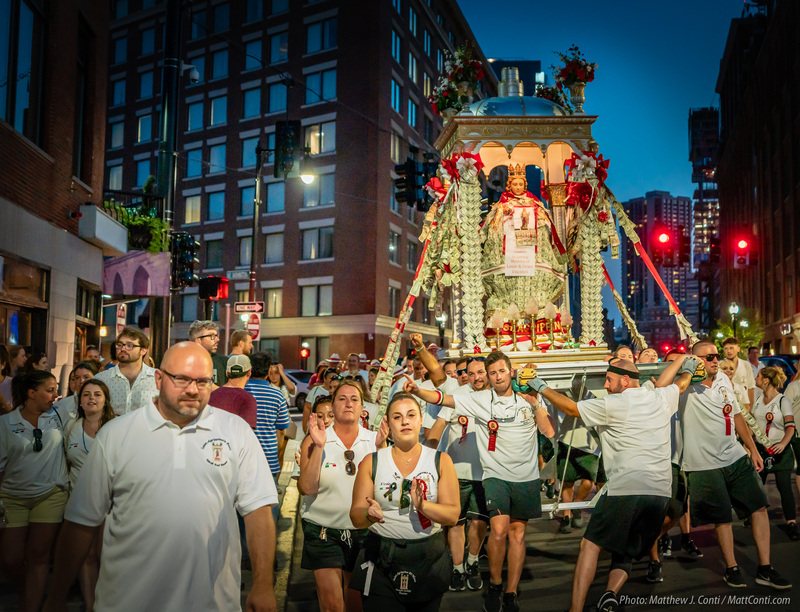 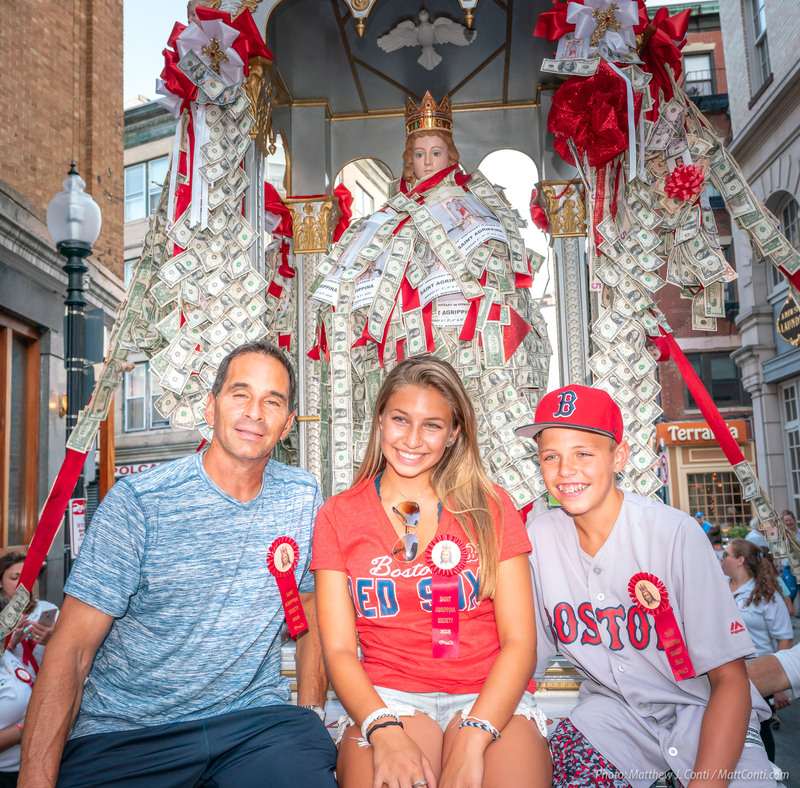 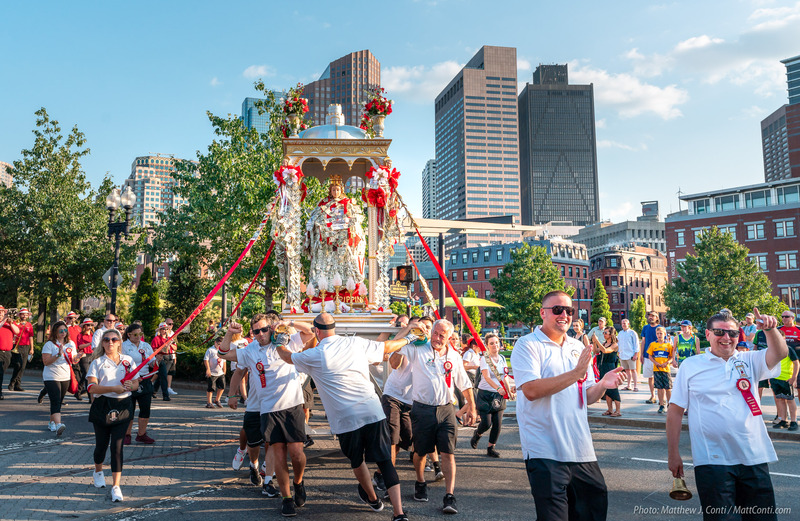 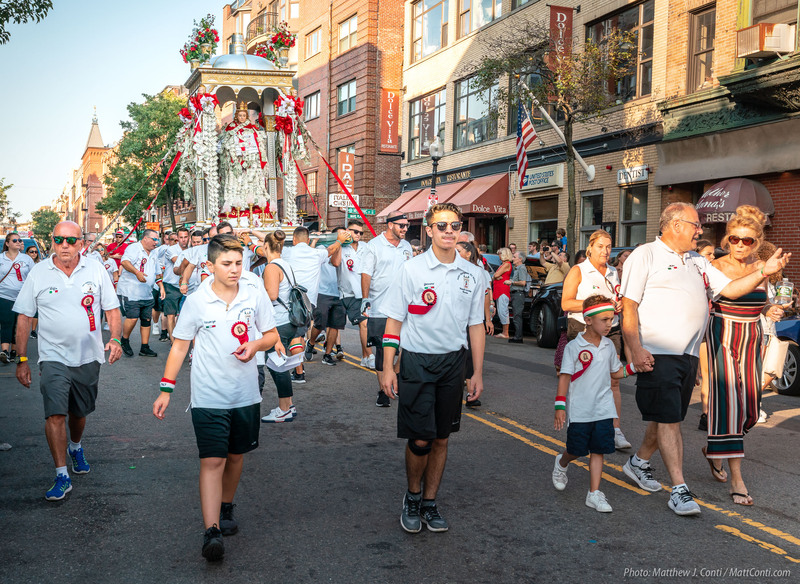 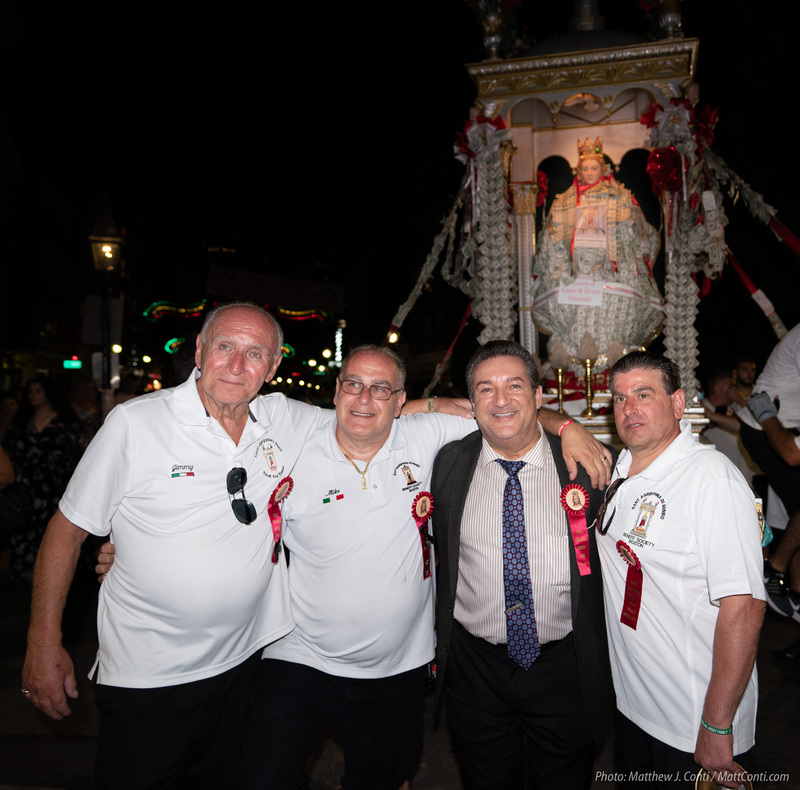 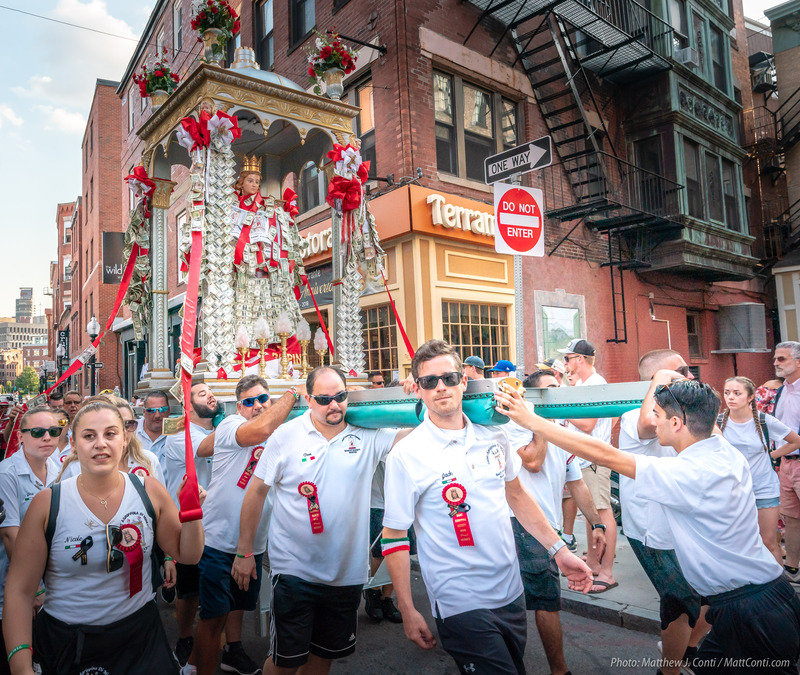 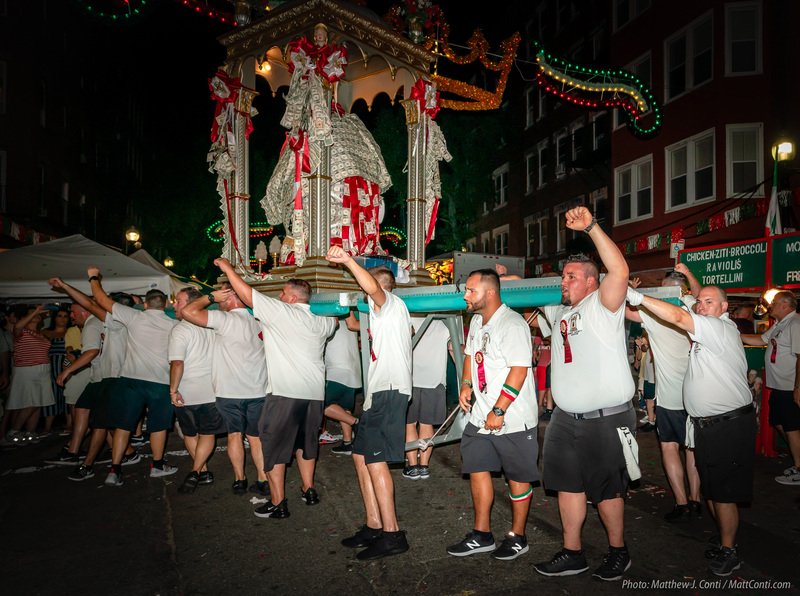 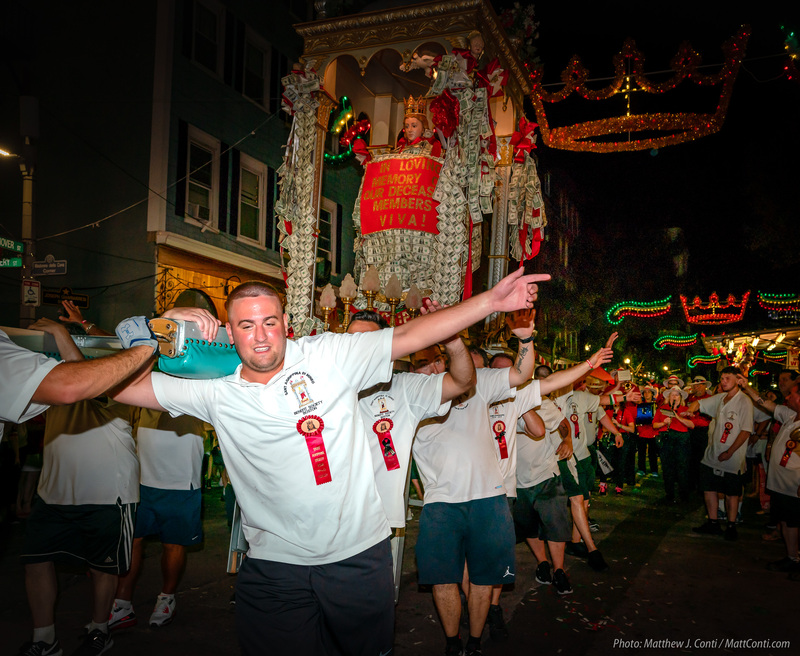 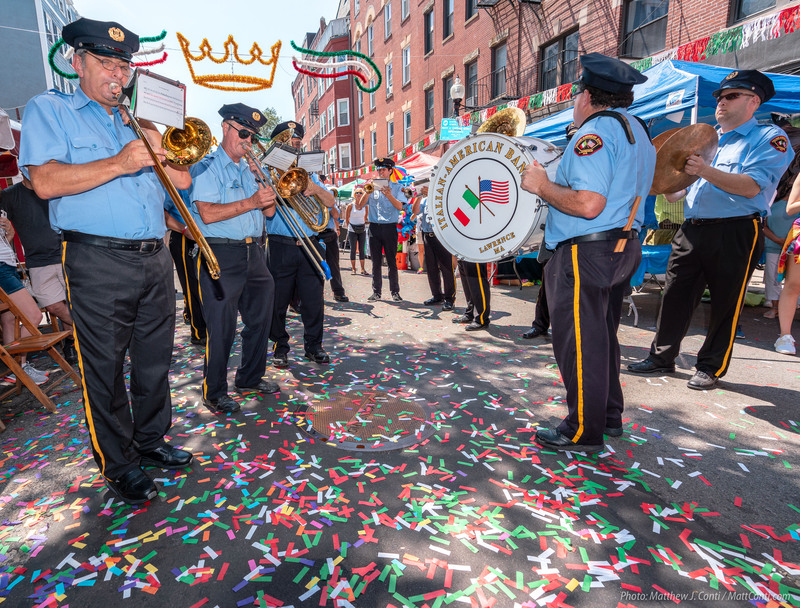 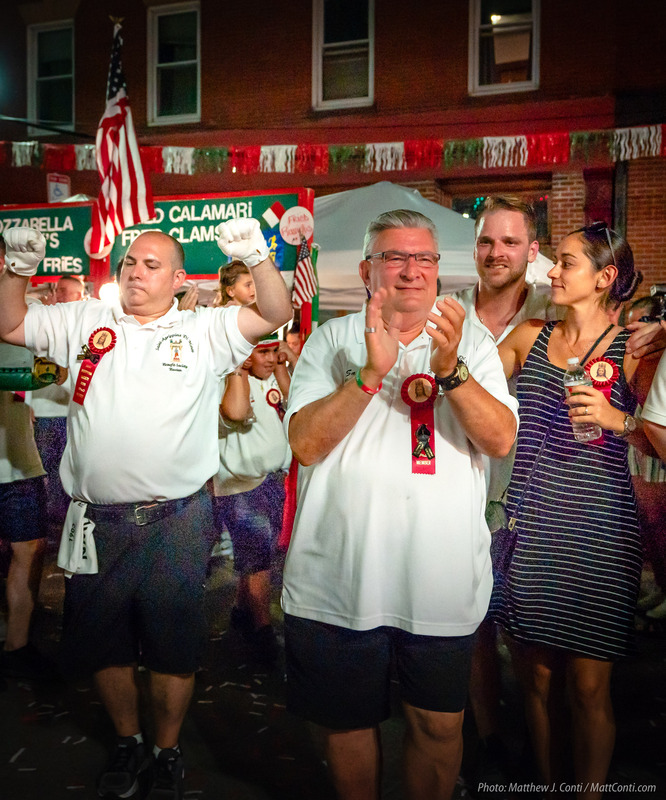 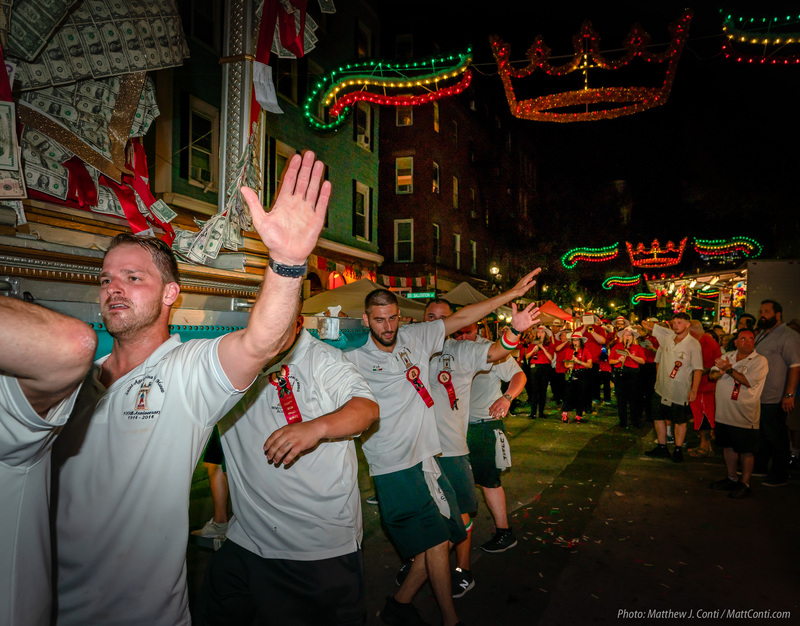 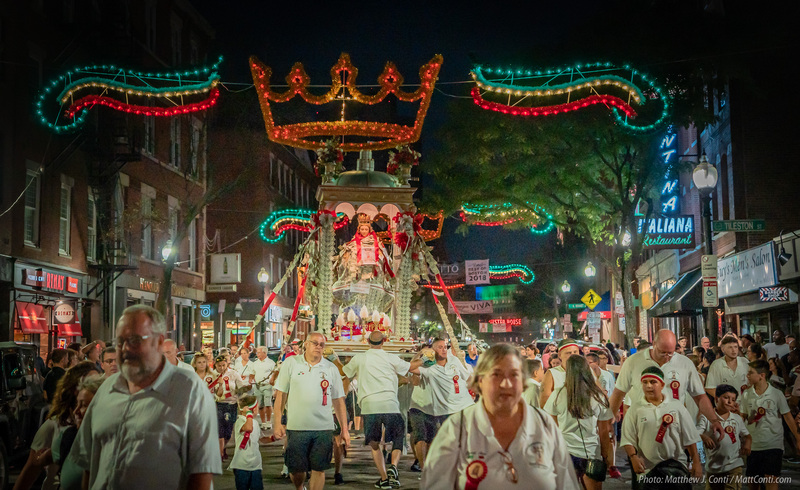 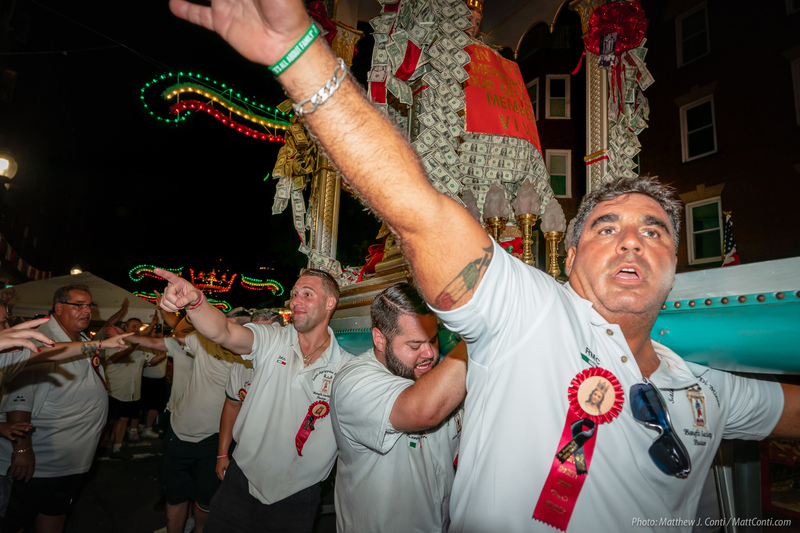 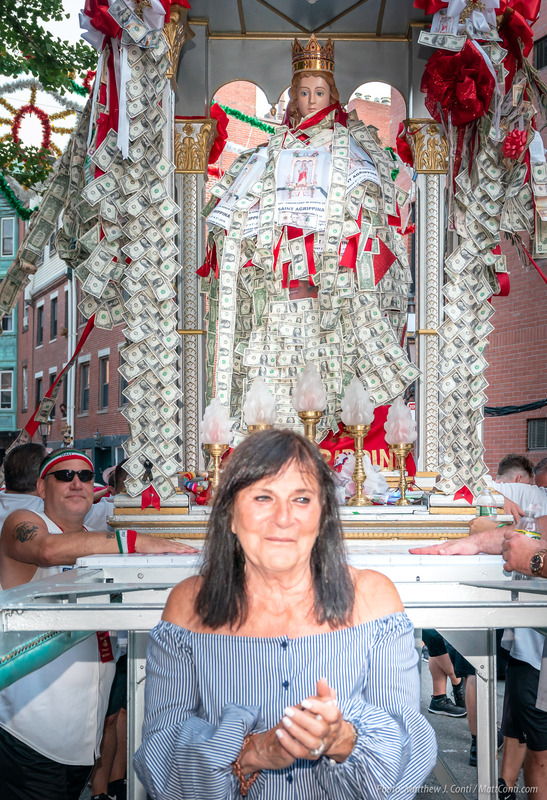 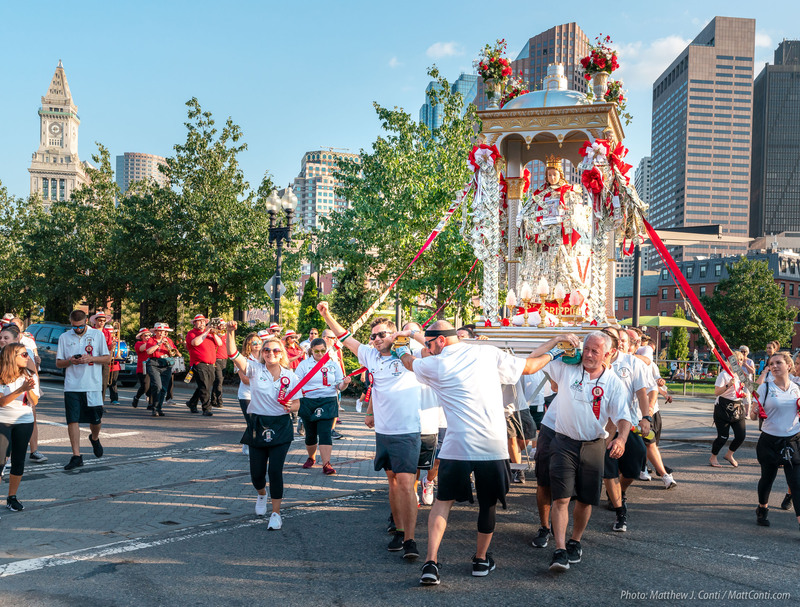 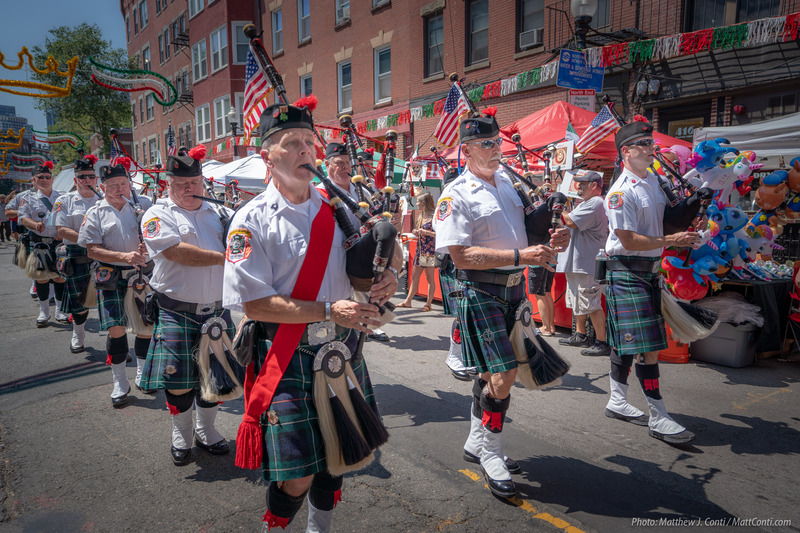 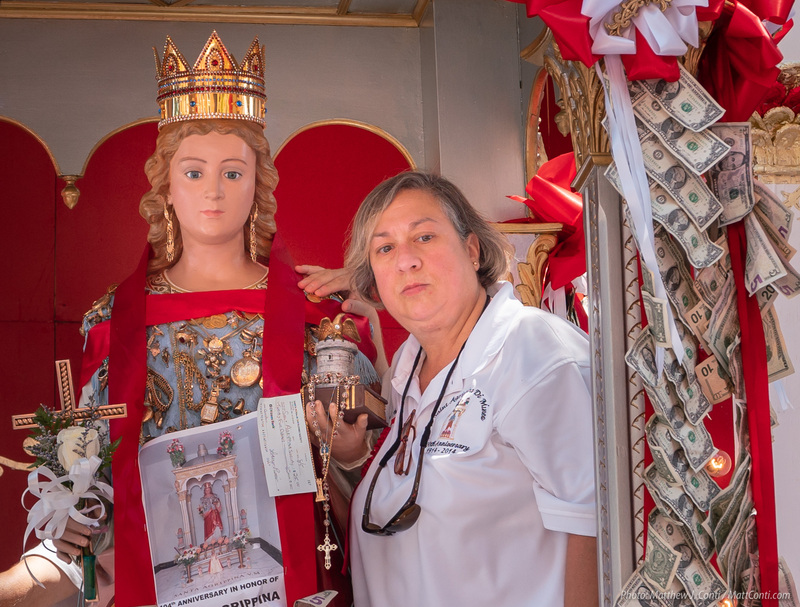 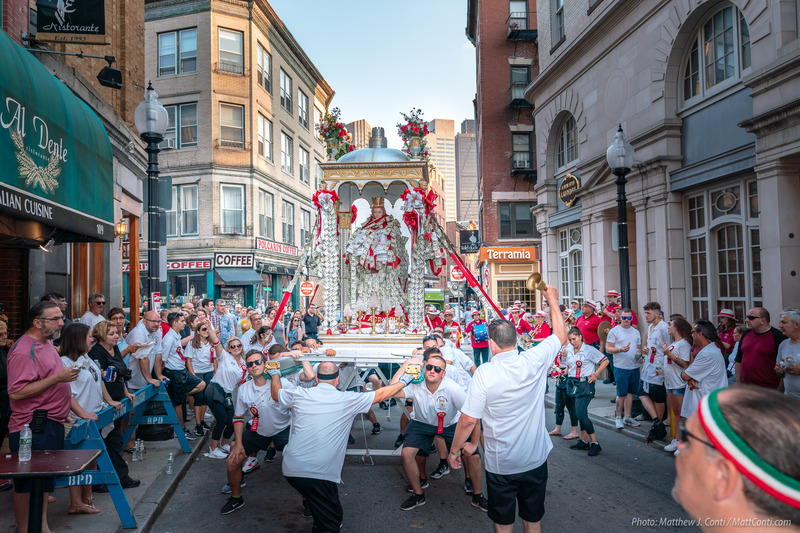 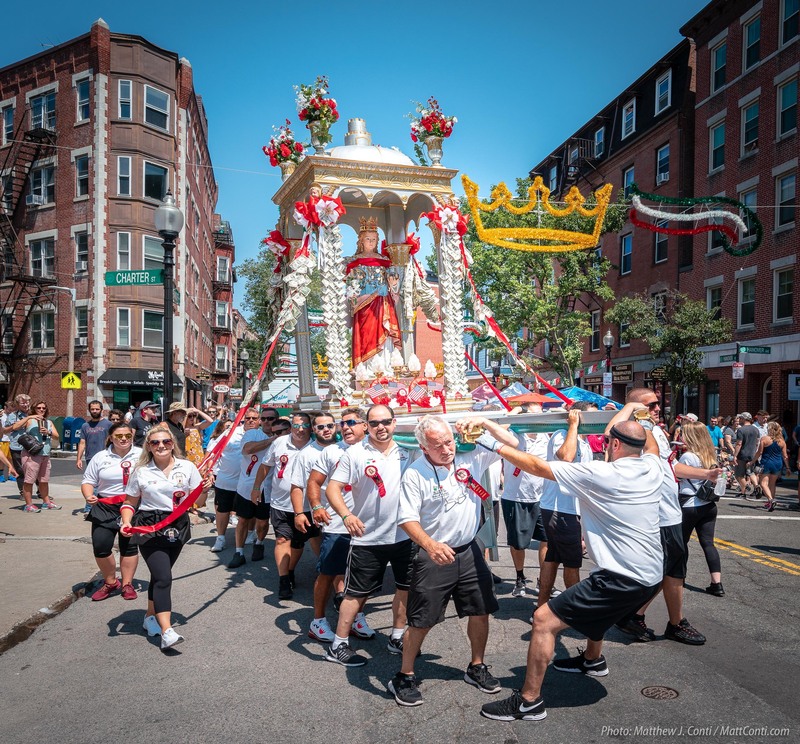 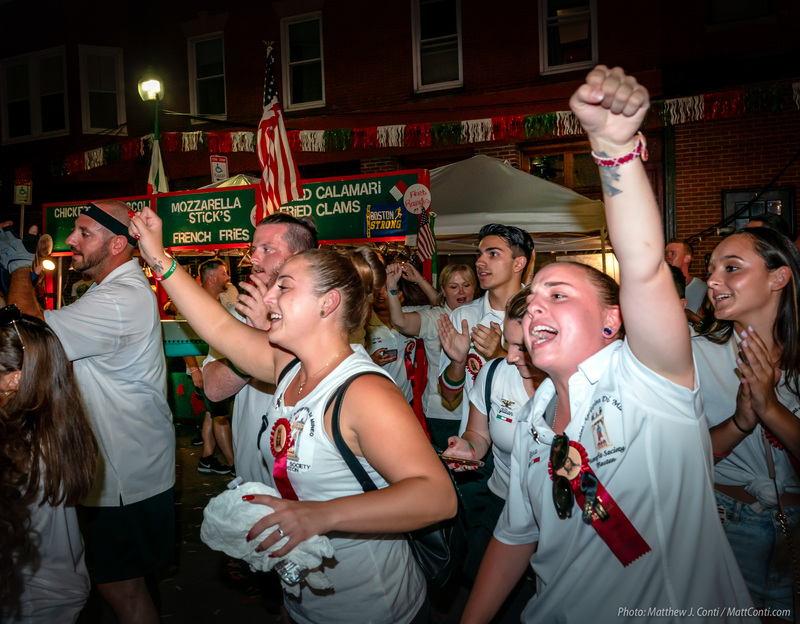 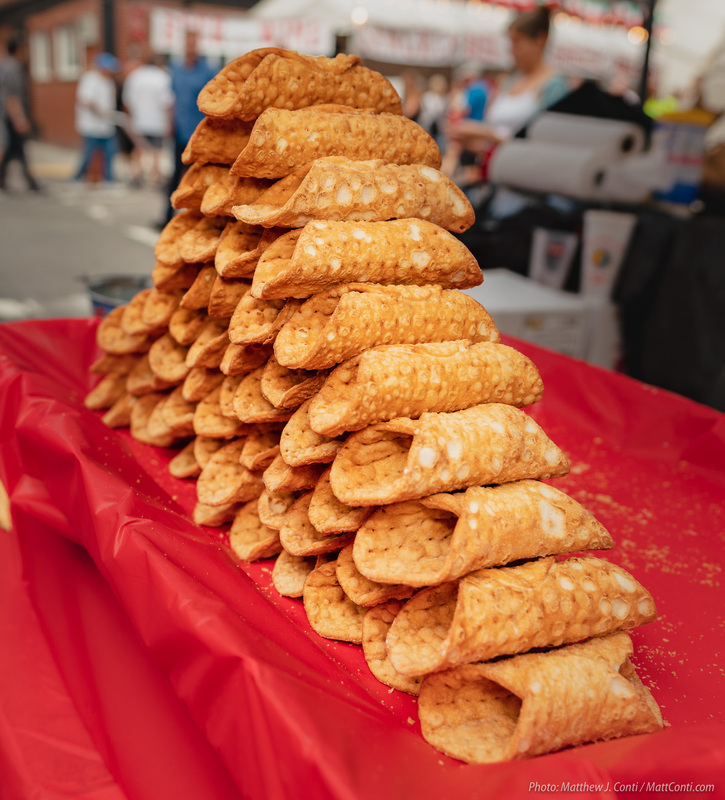 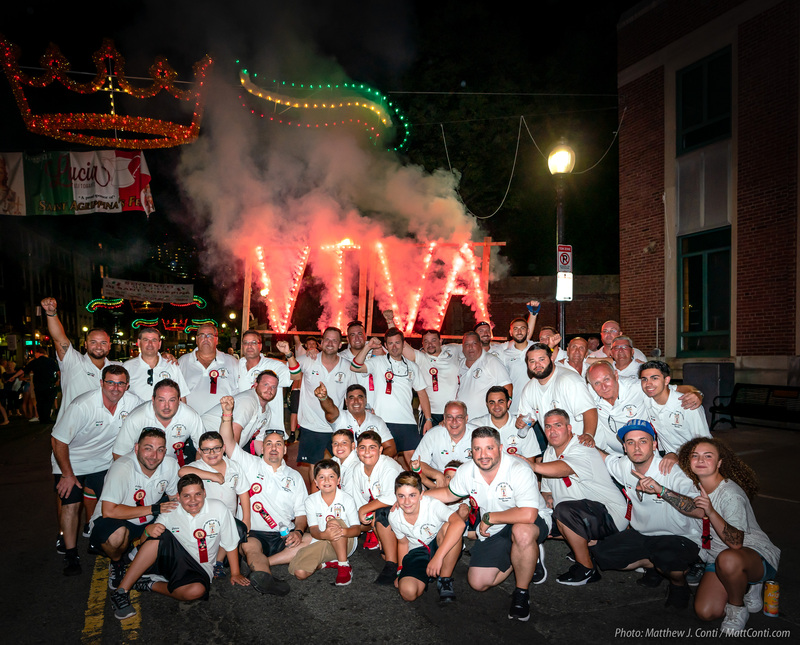 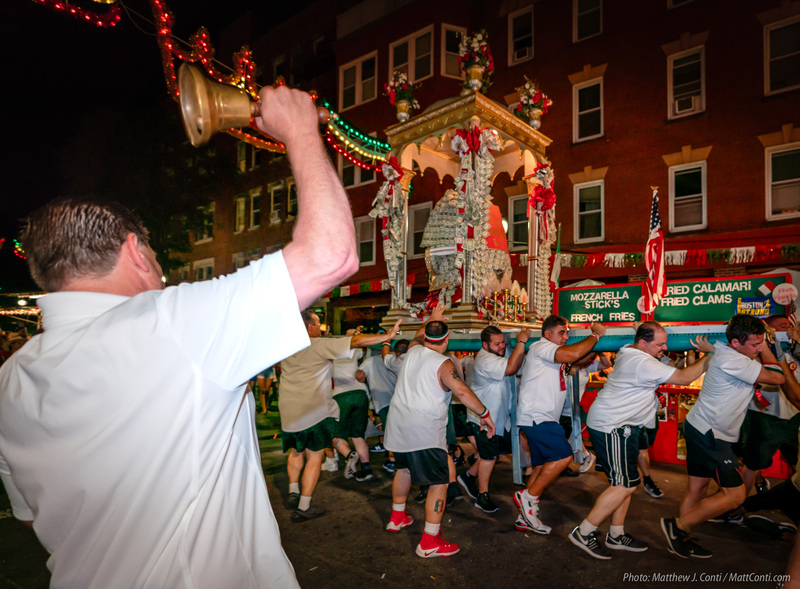 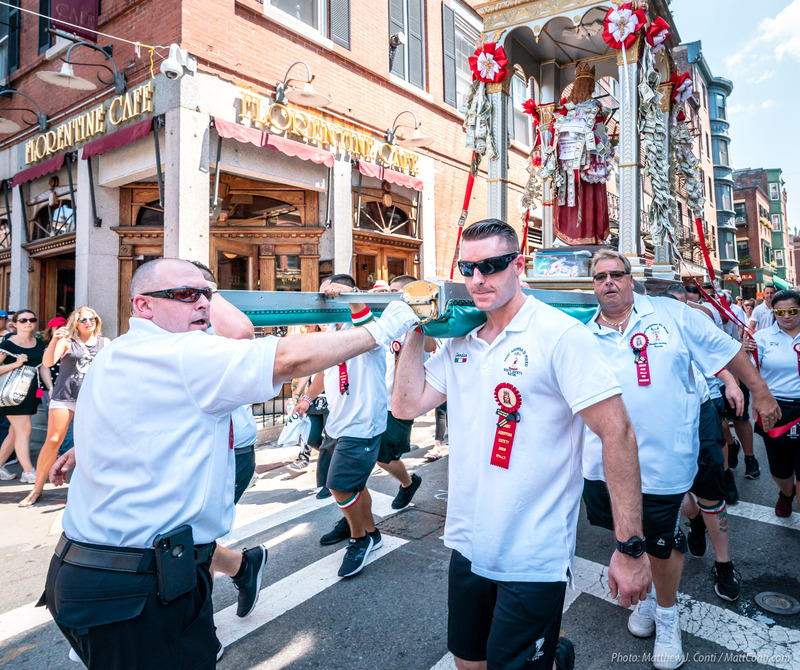 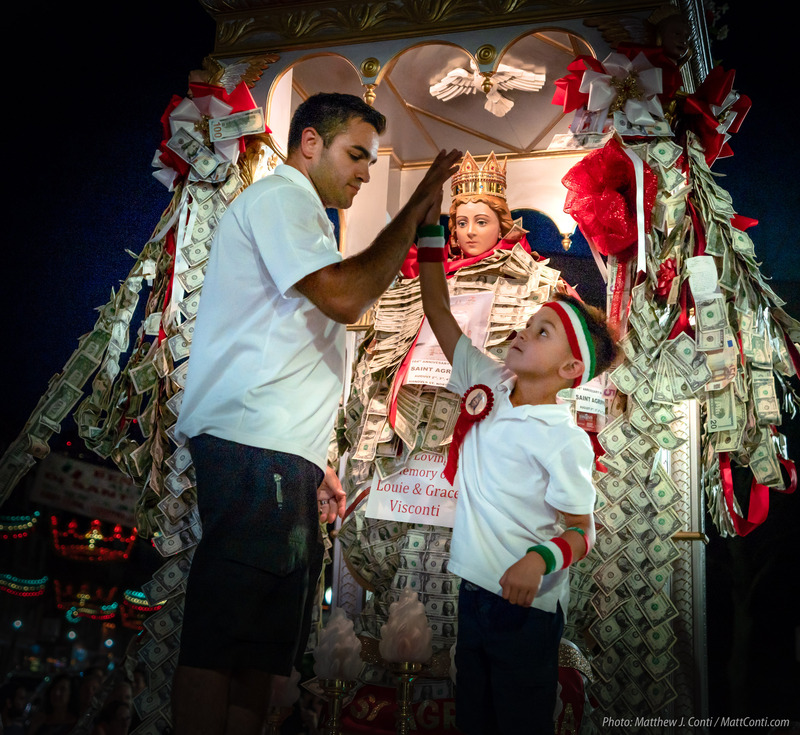 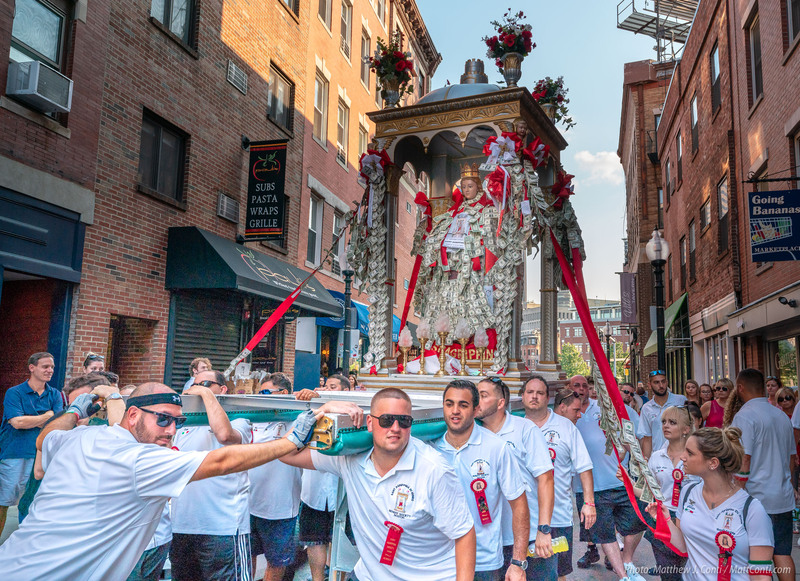 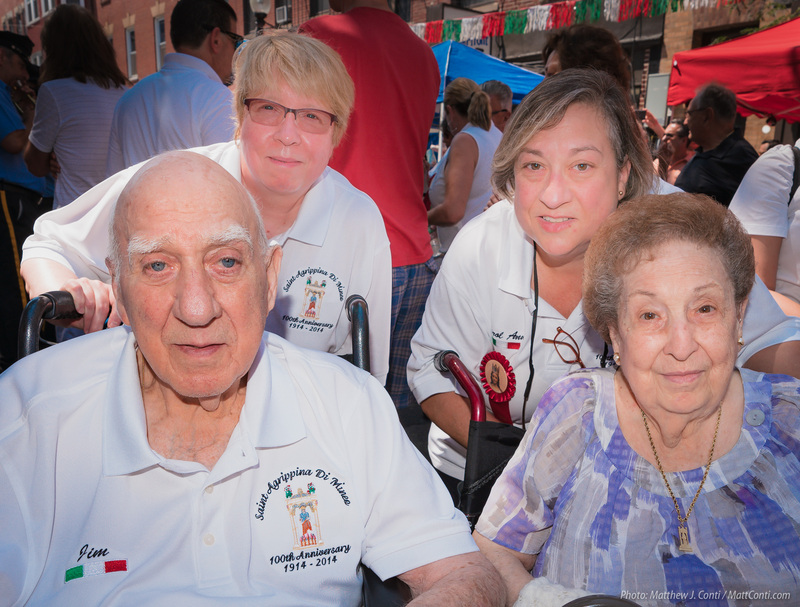 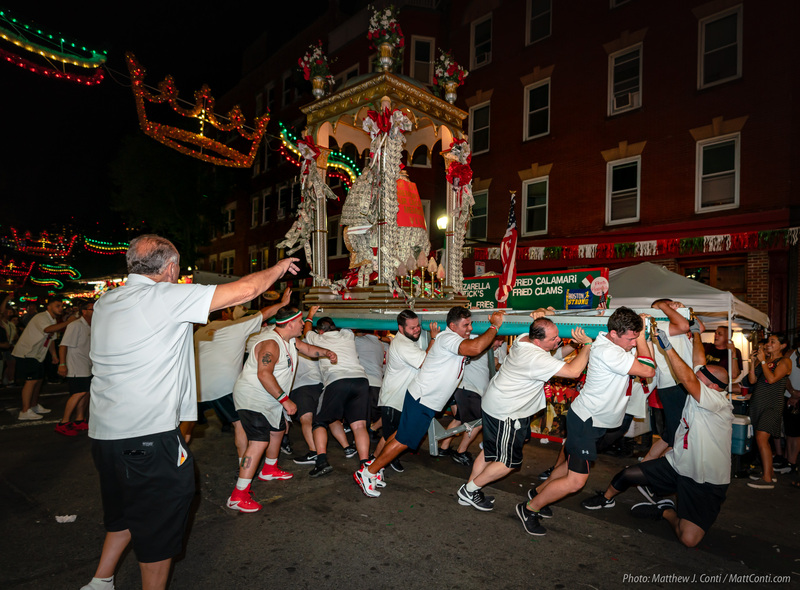 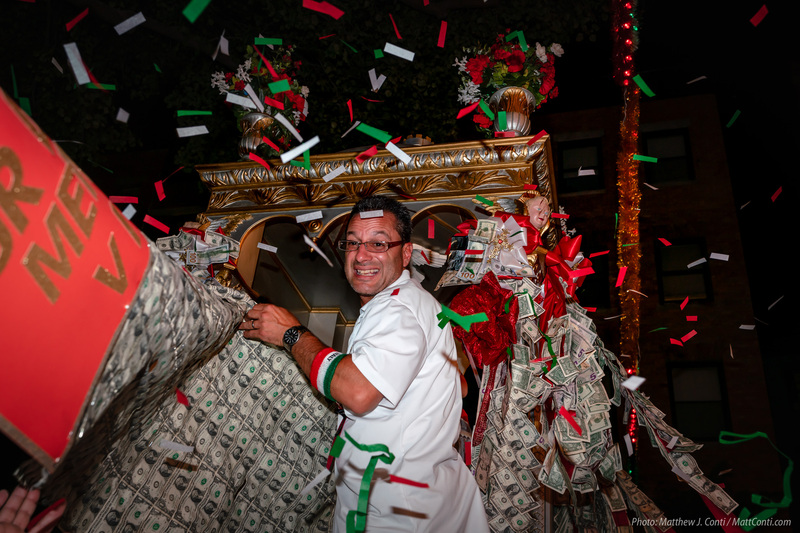 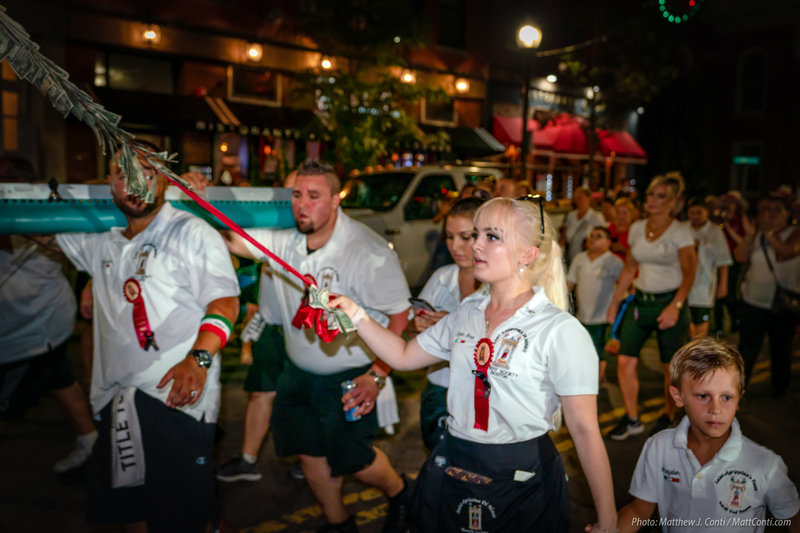 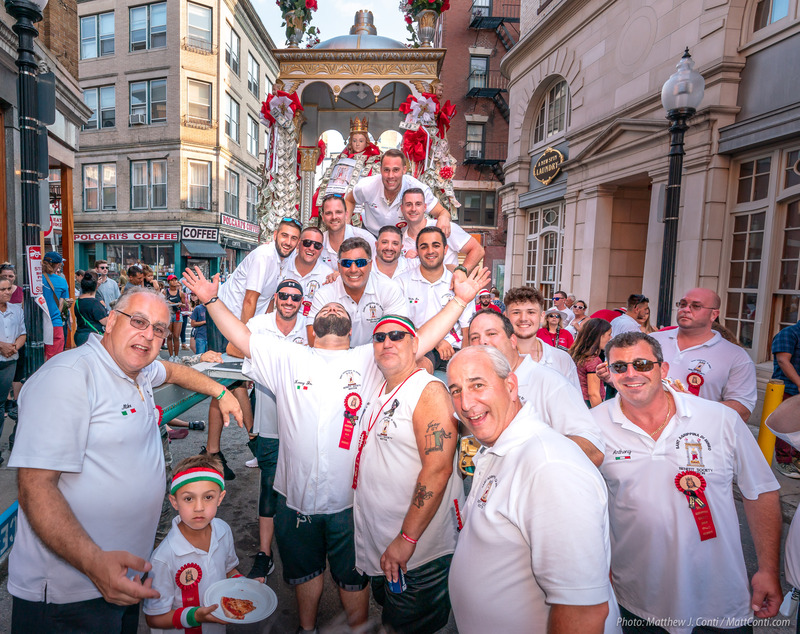 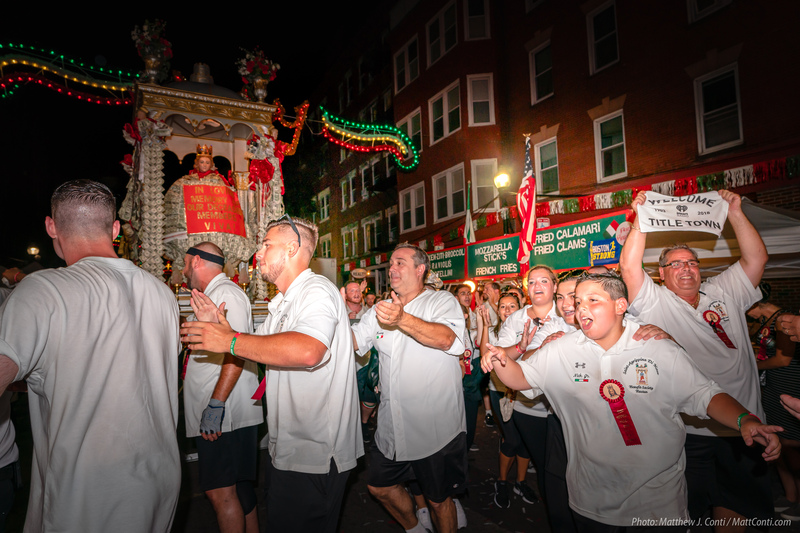 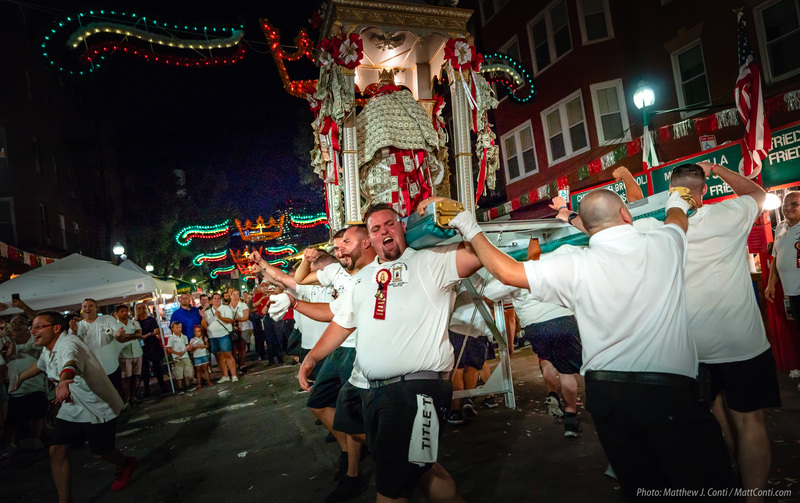 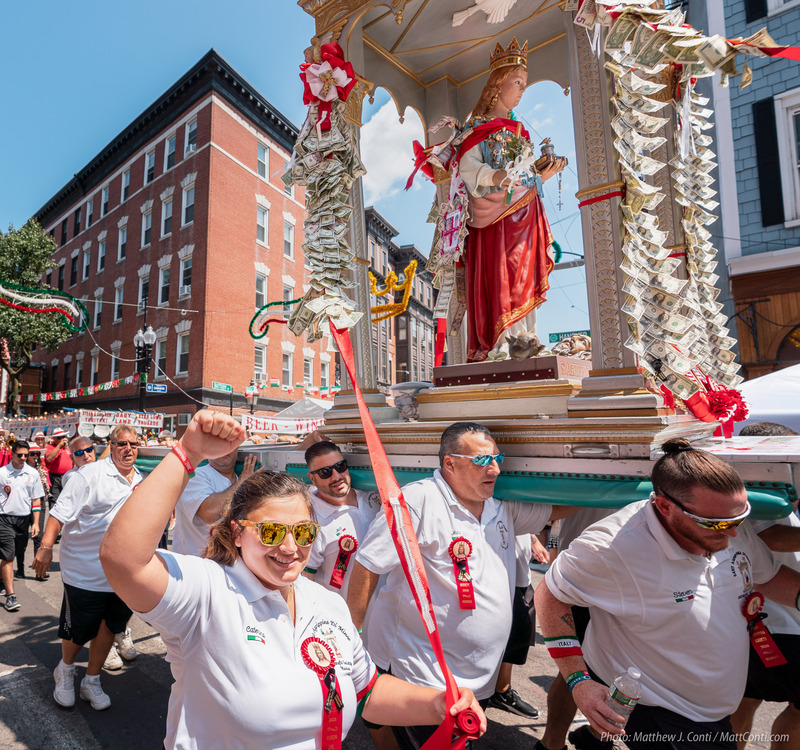 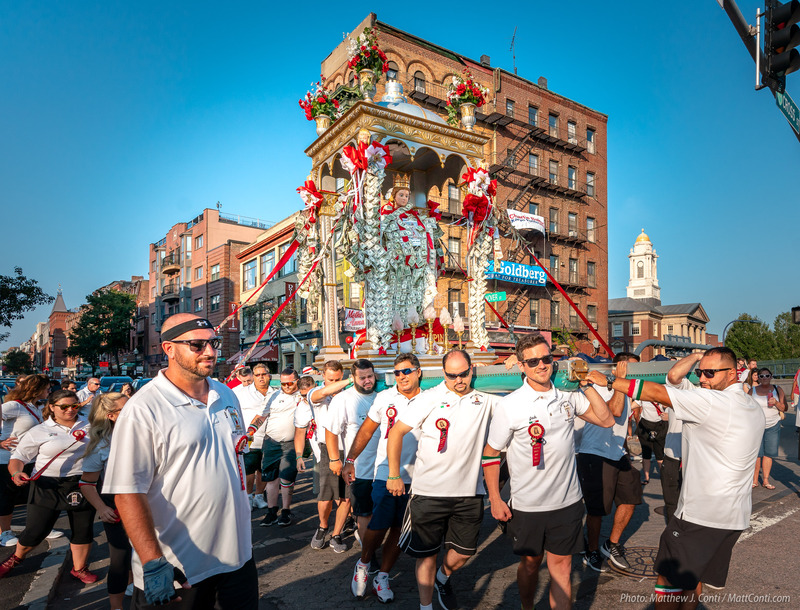 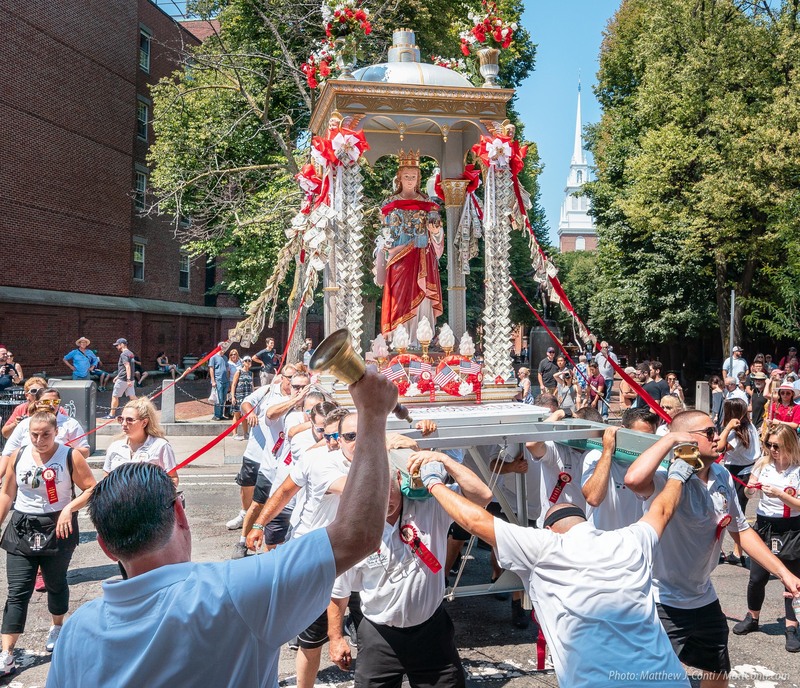 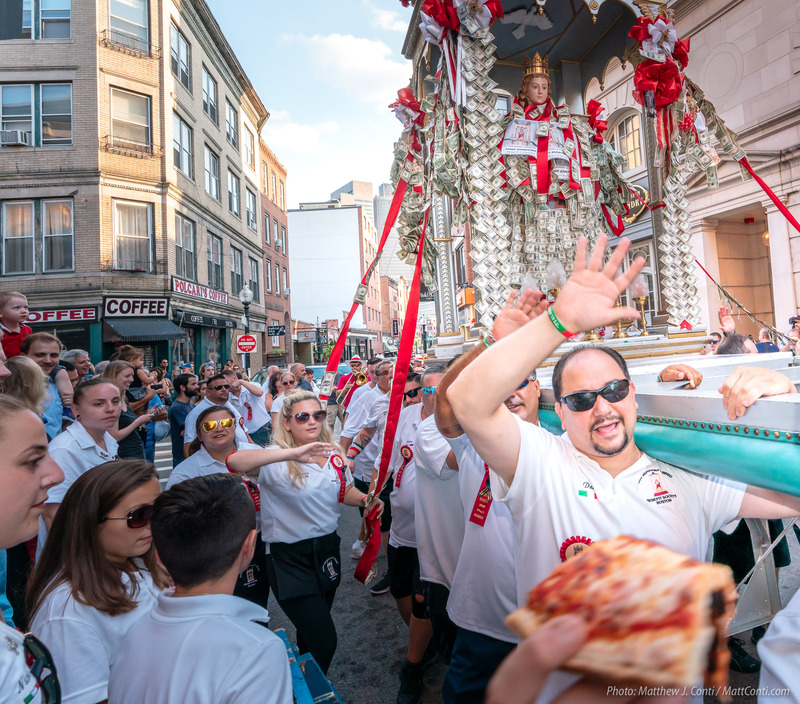 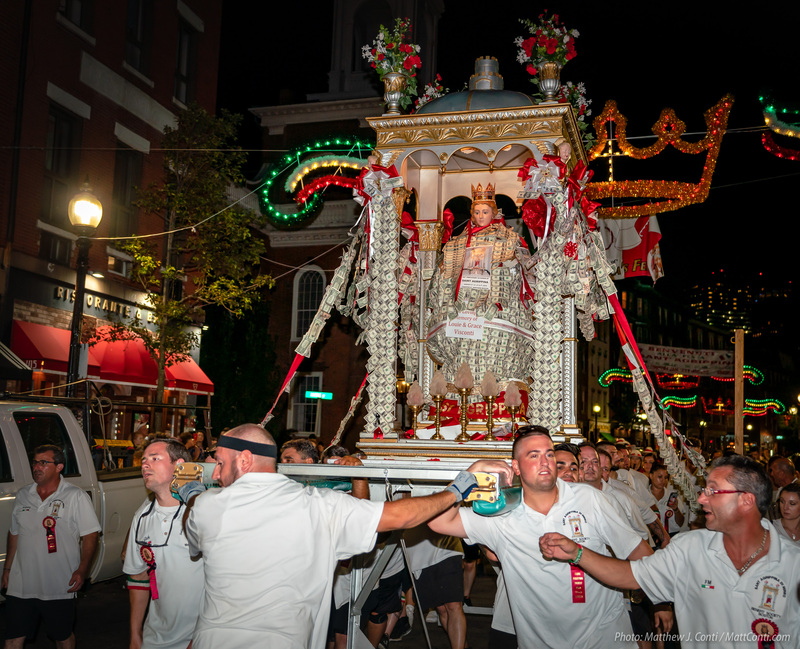 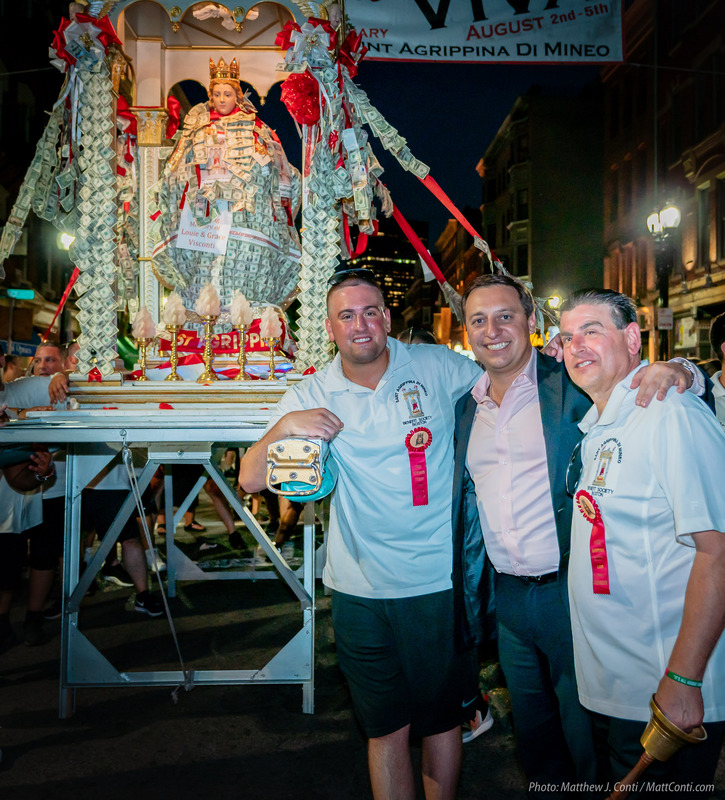 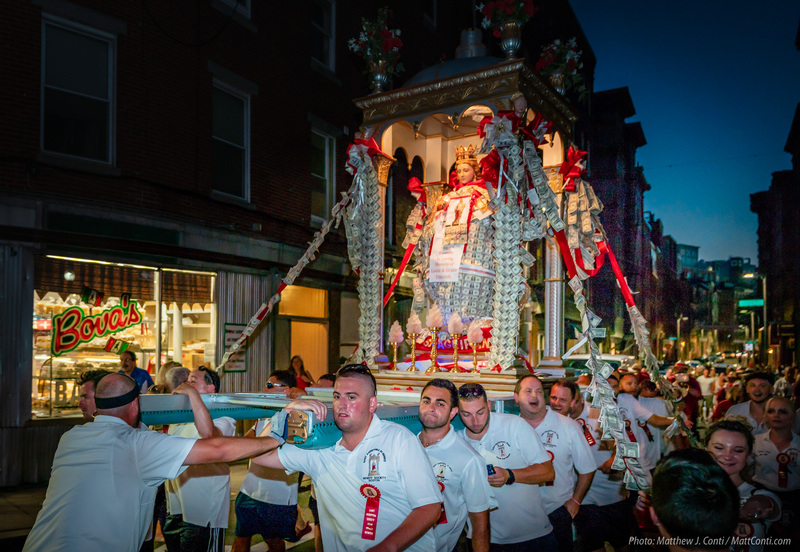 View more photos from the 103rd St. Agrippina’s Feast. 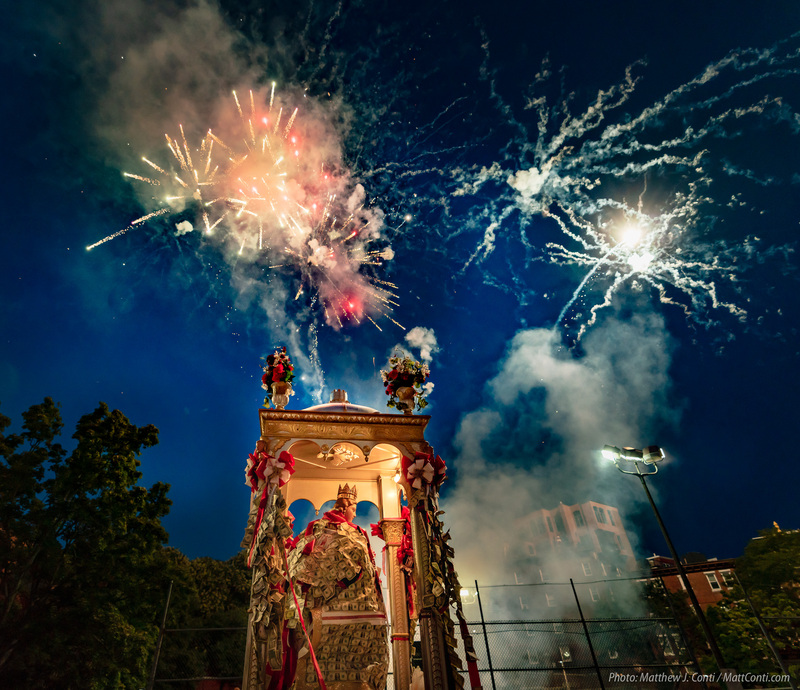 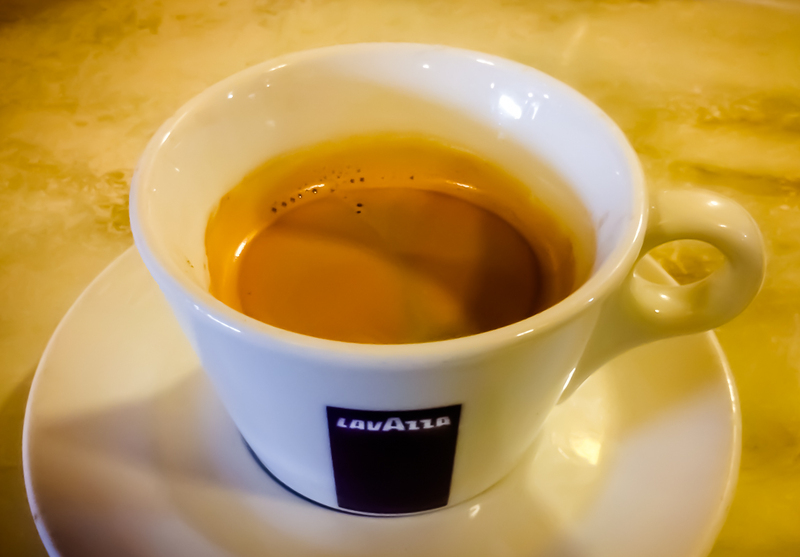 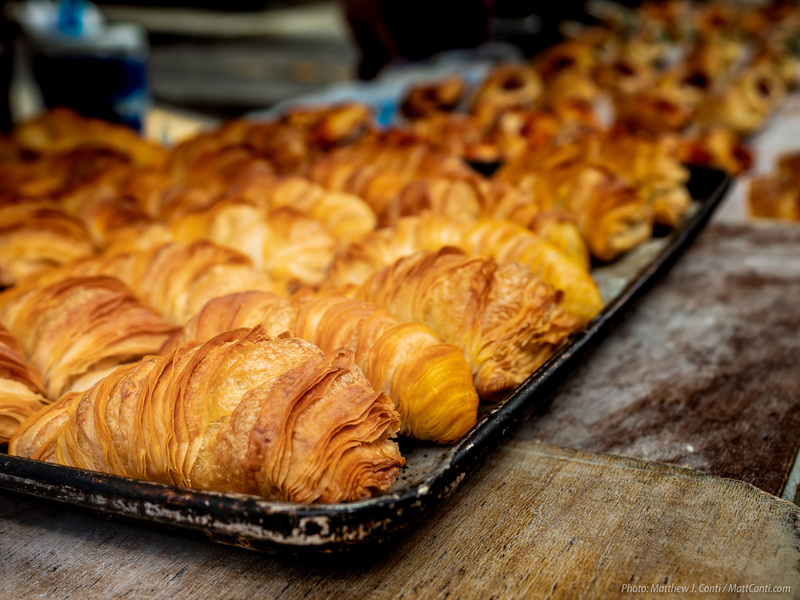 Matt: Thanks for the colorful photos….make me feel as if I were there !